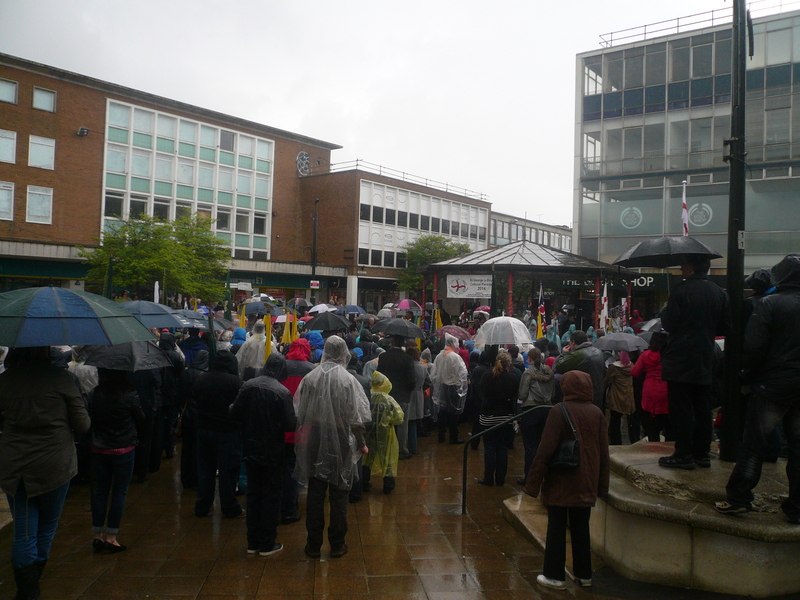 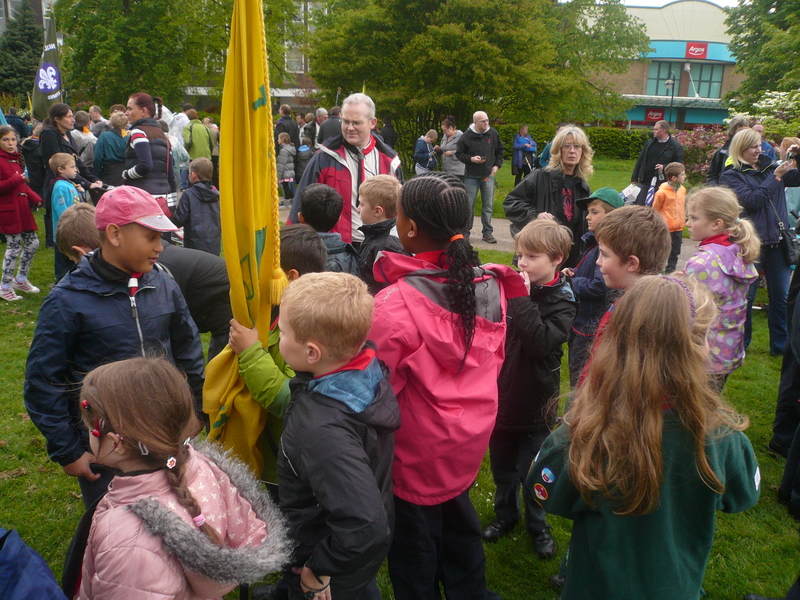 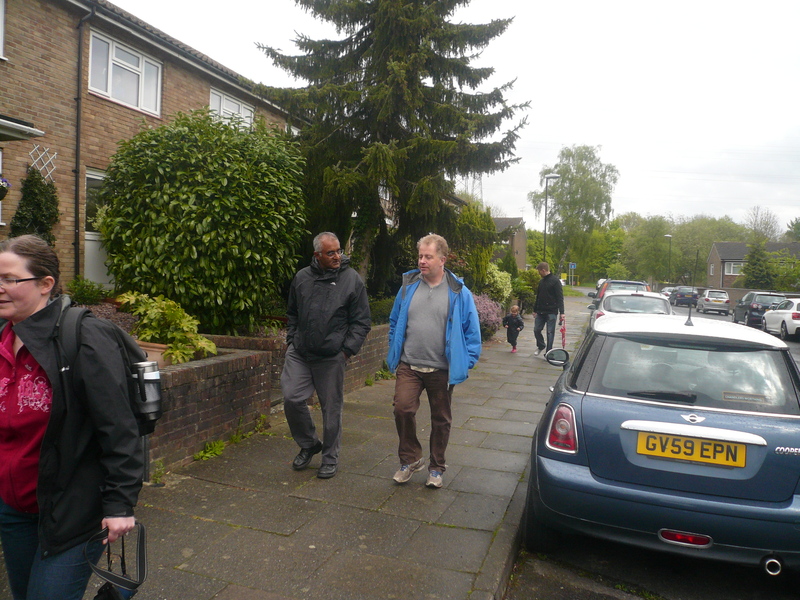 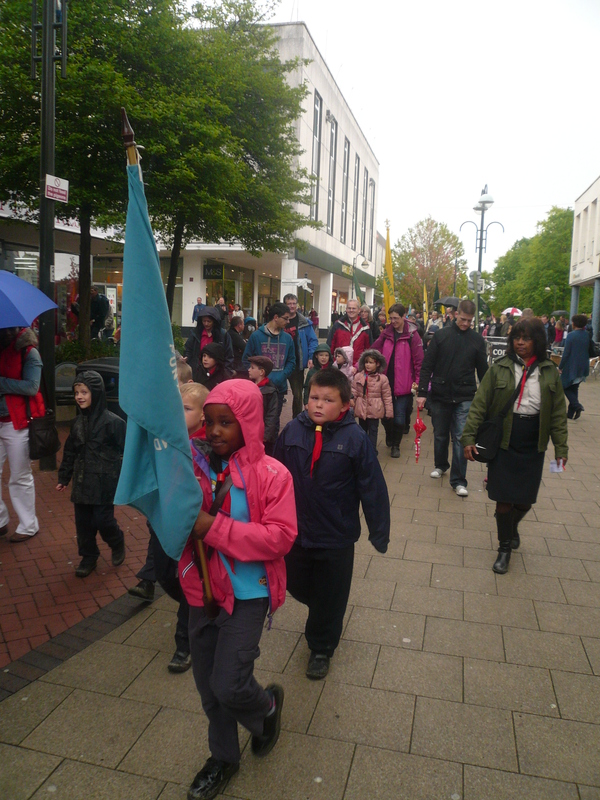 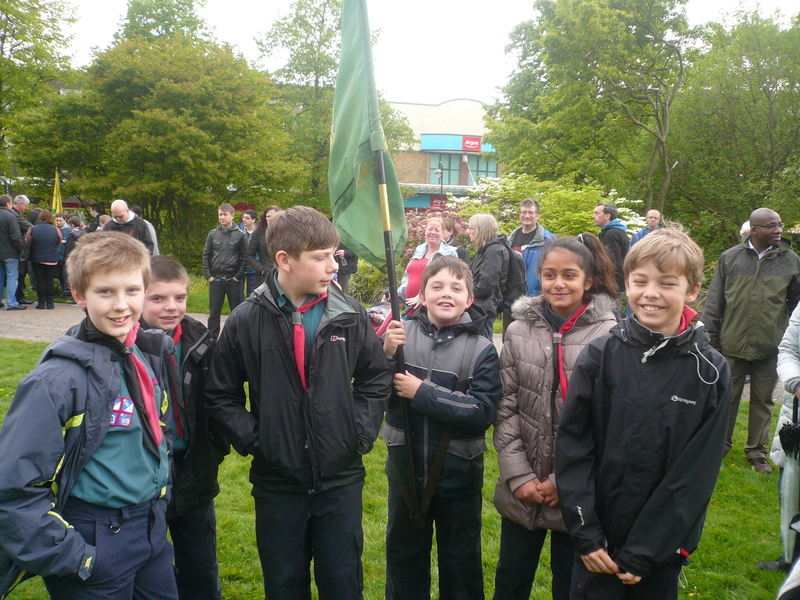 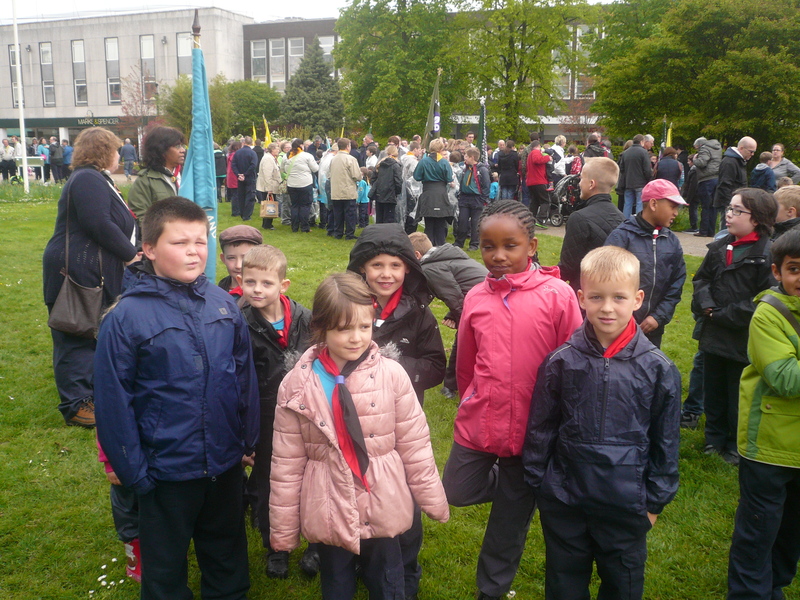 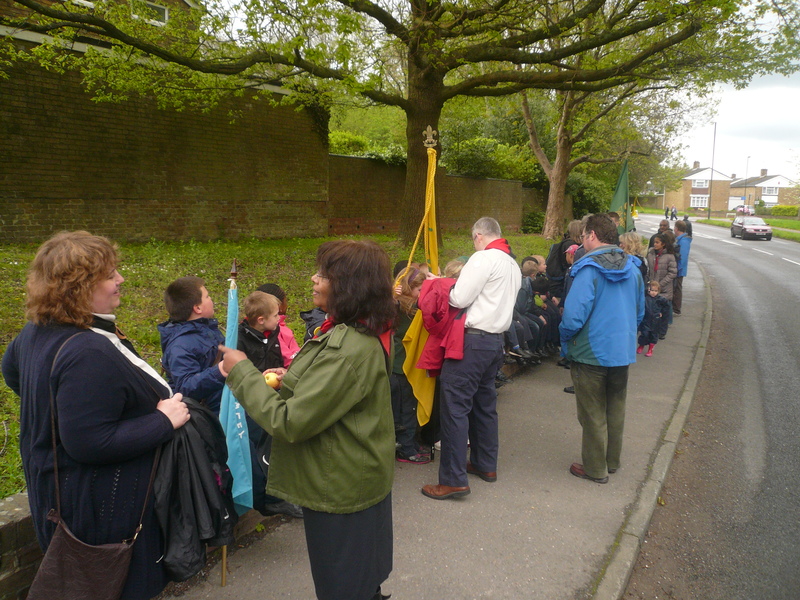 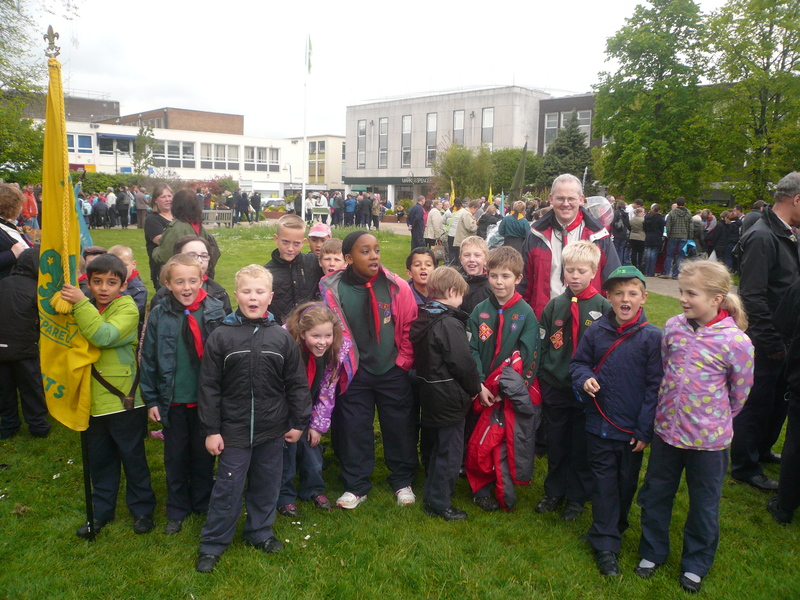 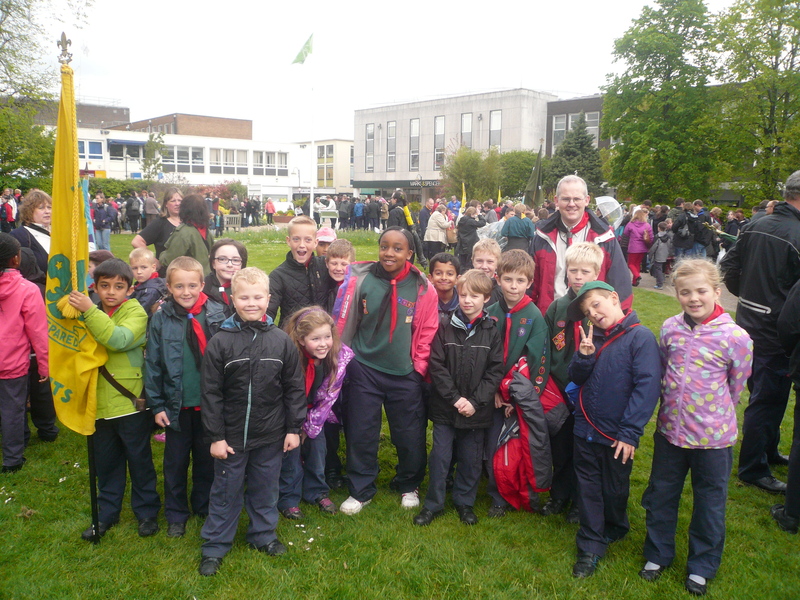 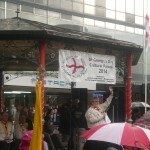 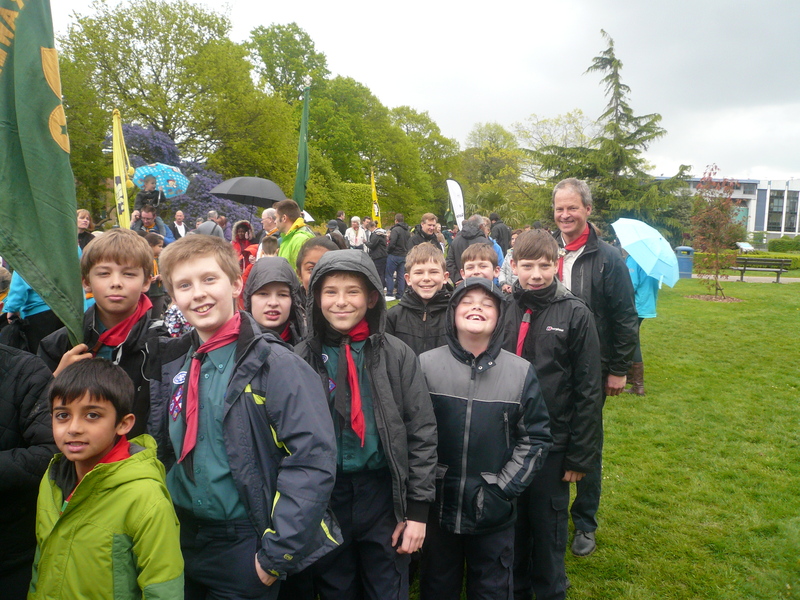 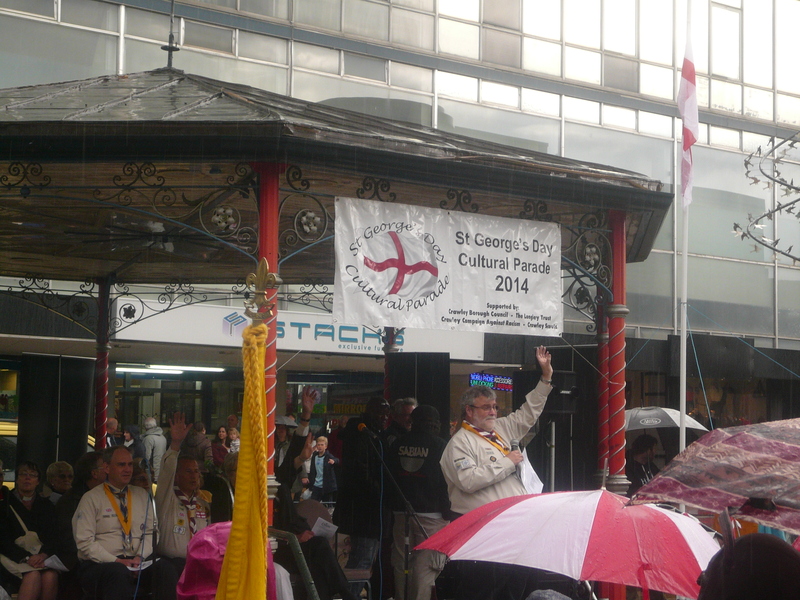 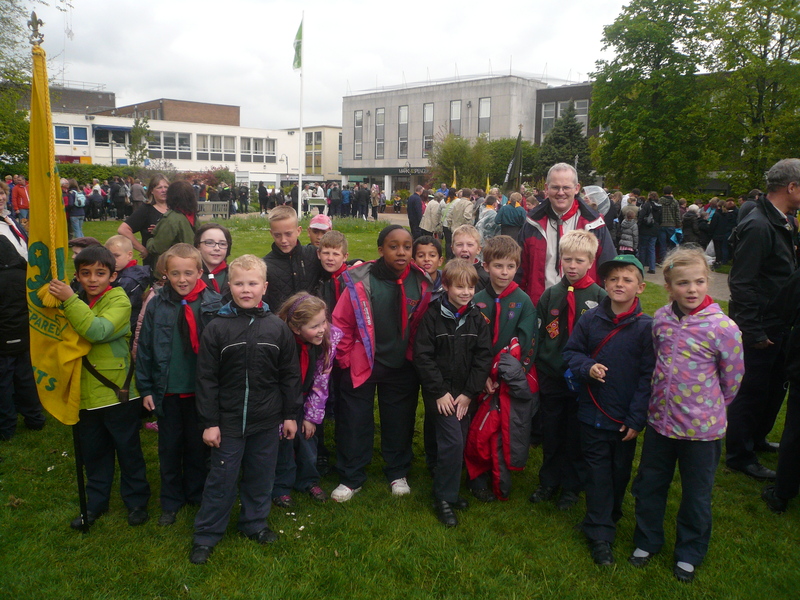 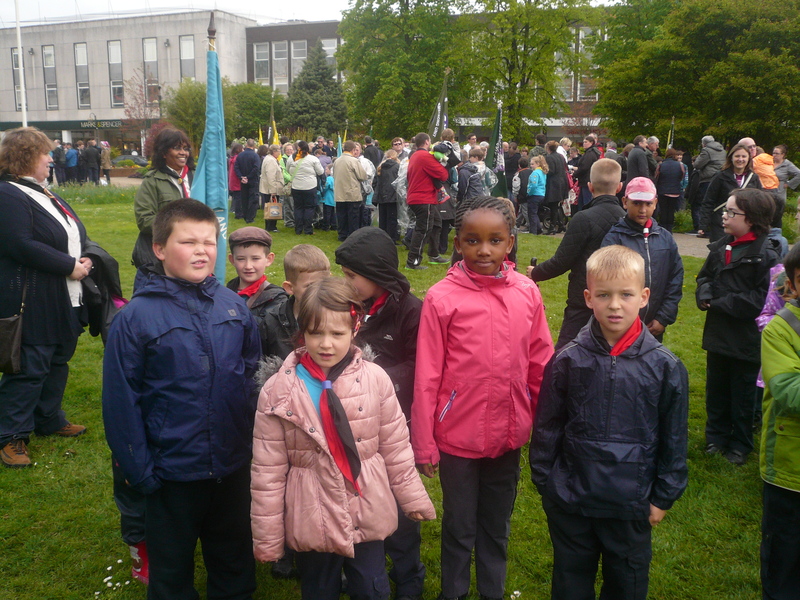 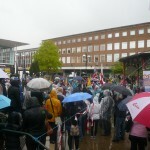 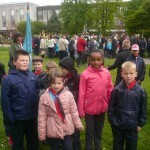 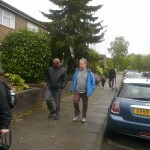 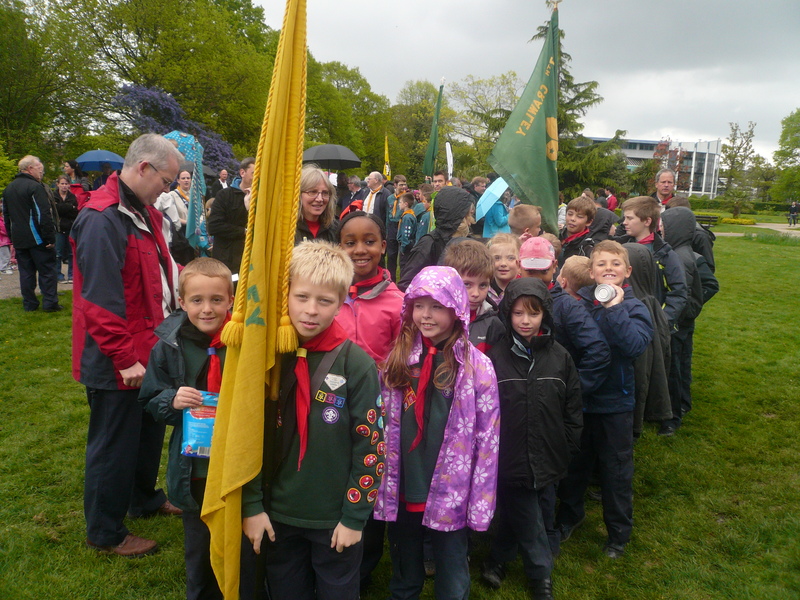 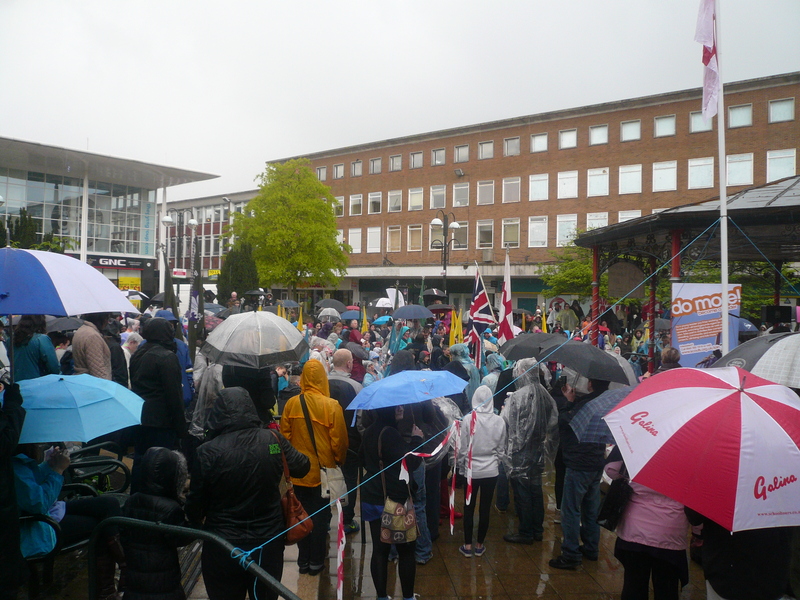 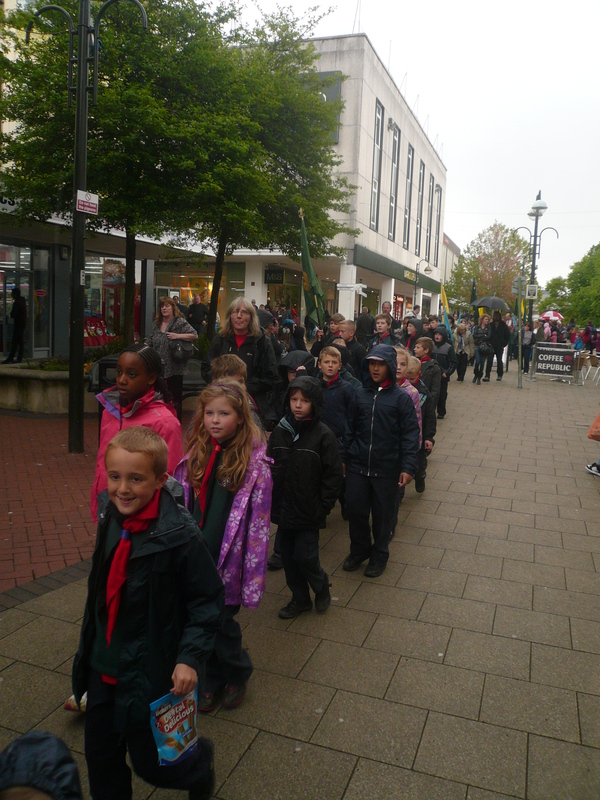 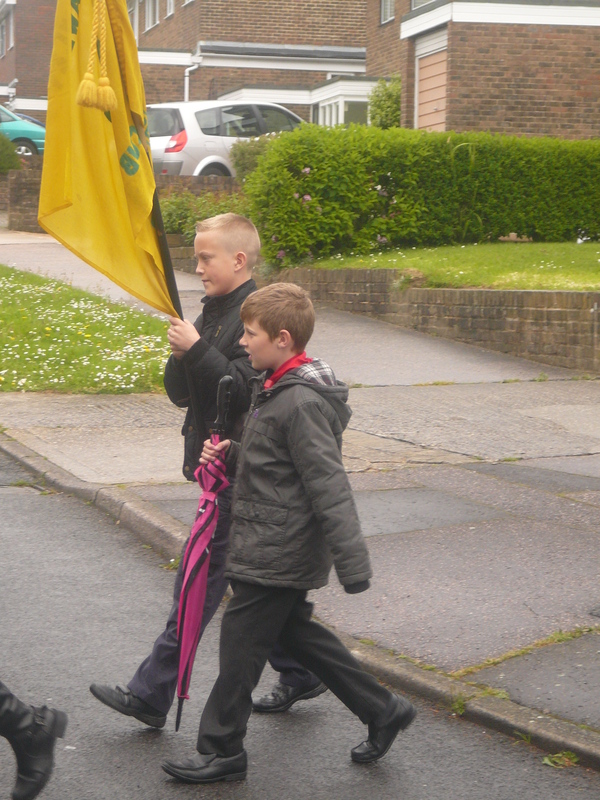 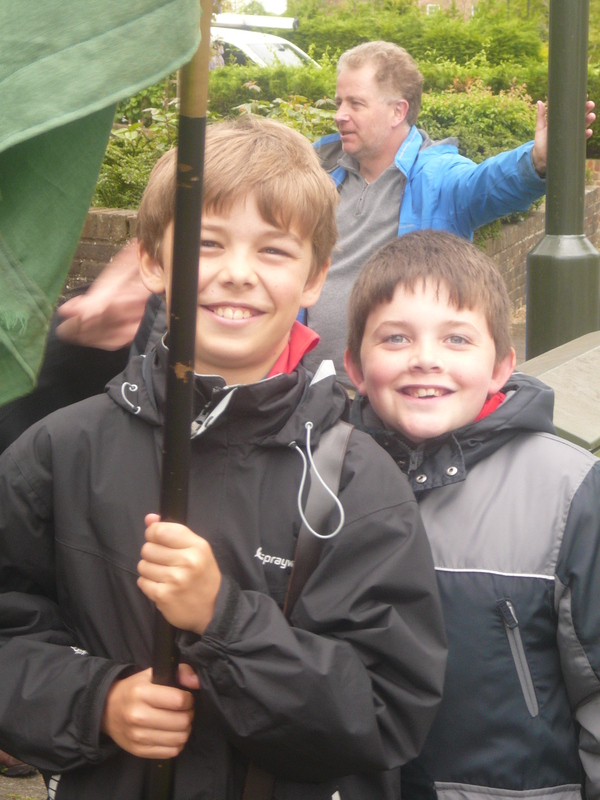 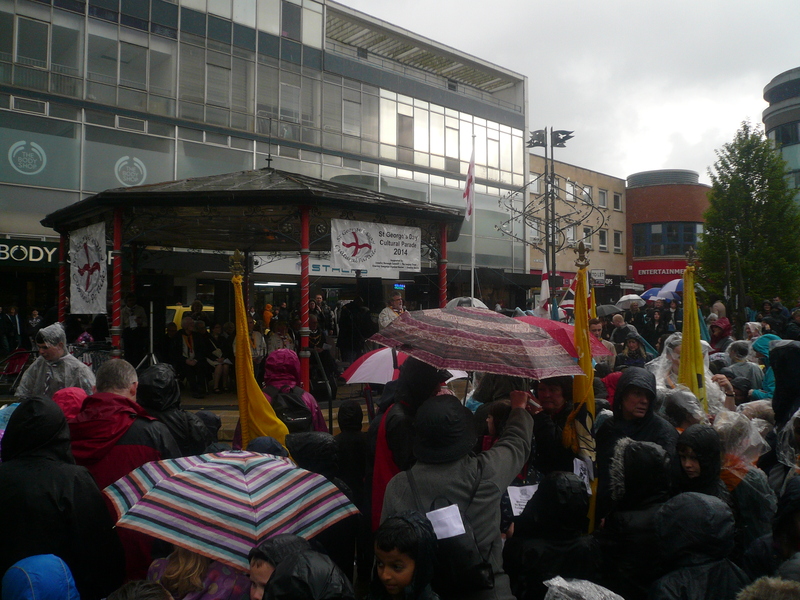 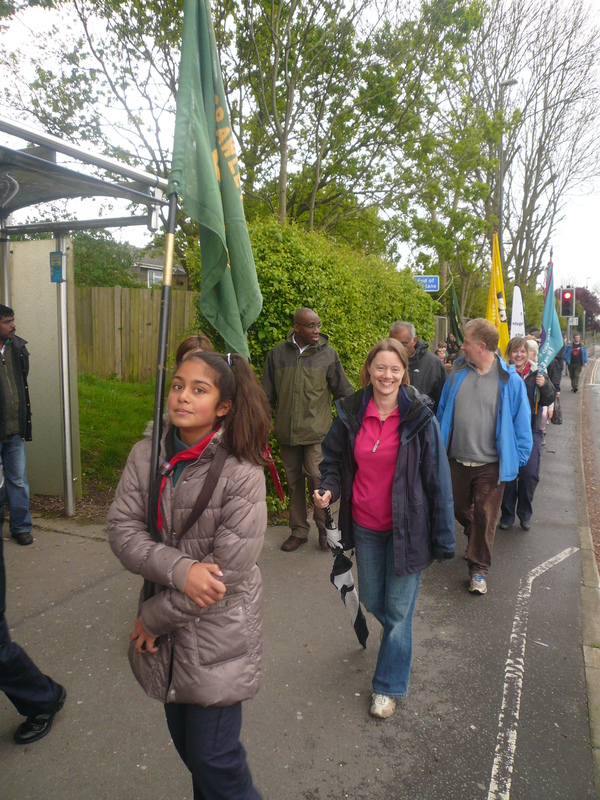 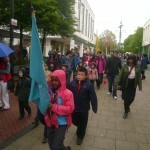 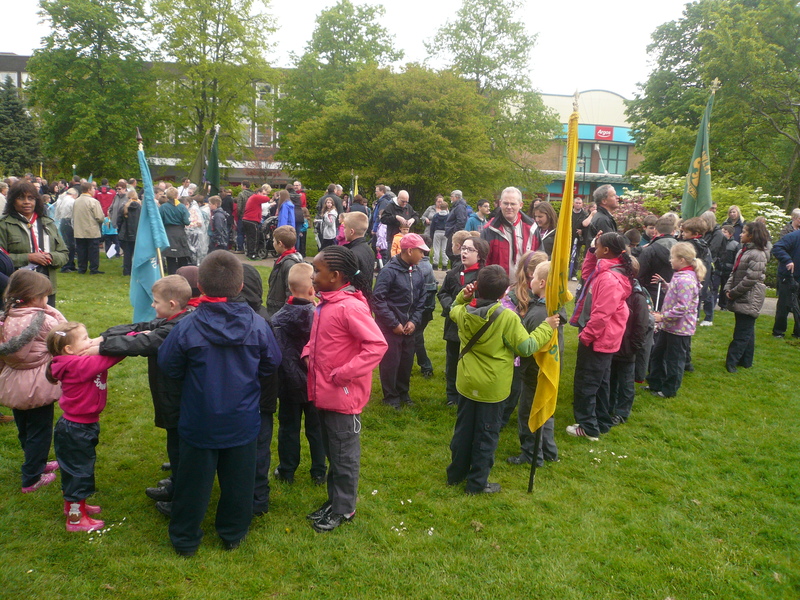 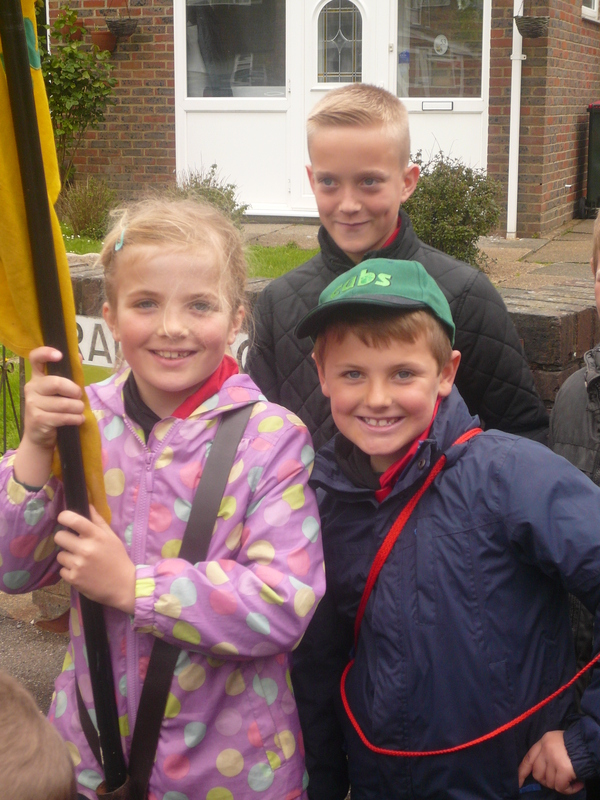 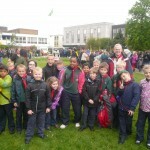 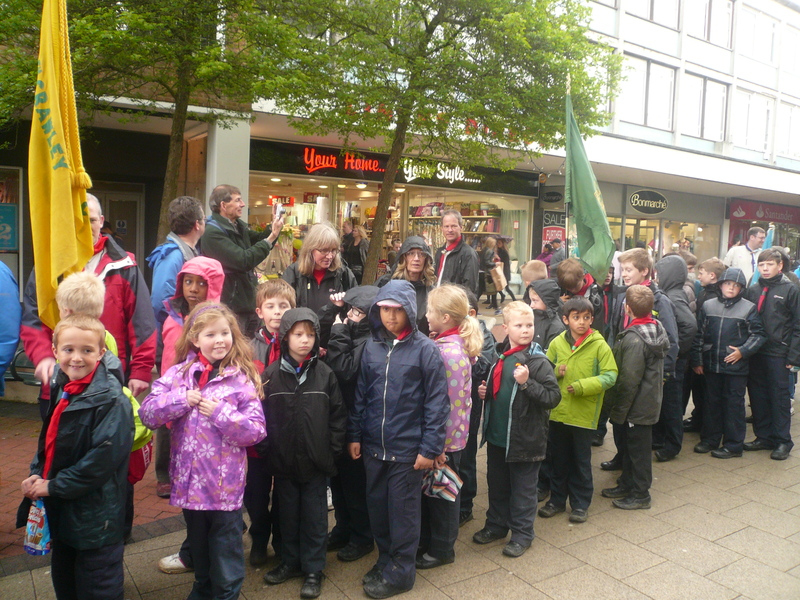 The Group took part in the District St. George’s Day Parade in Queens Square, Crawley on Sunday, 27th April 2014. 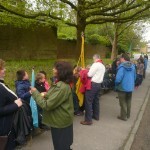 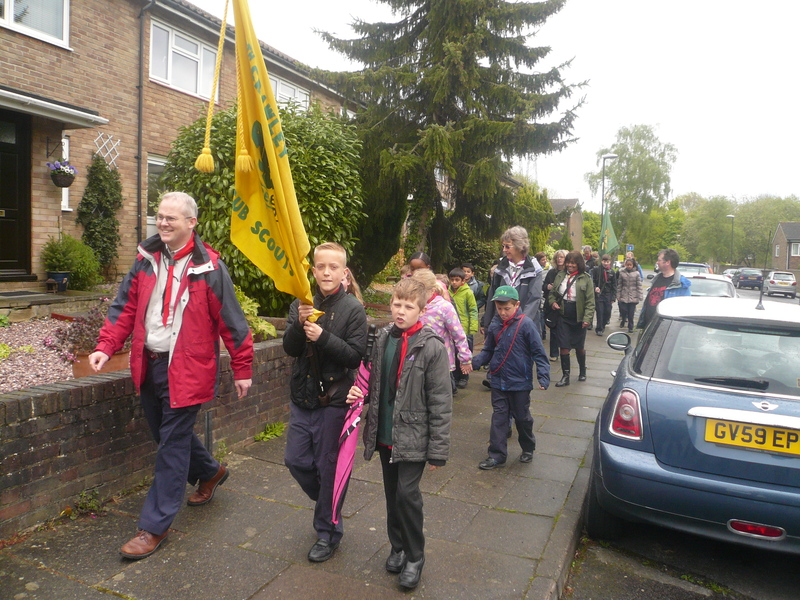 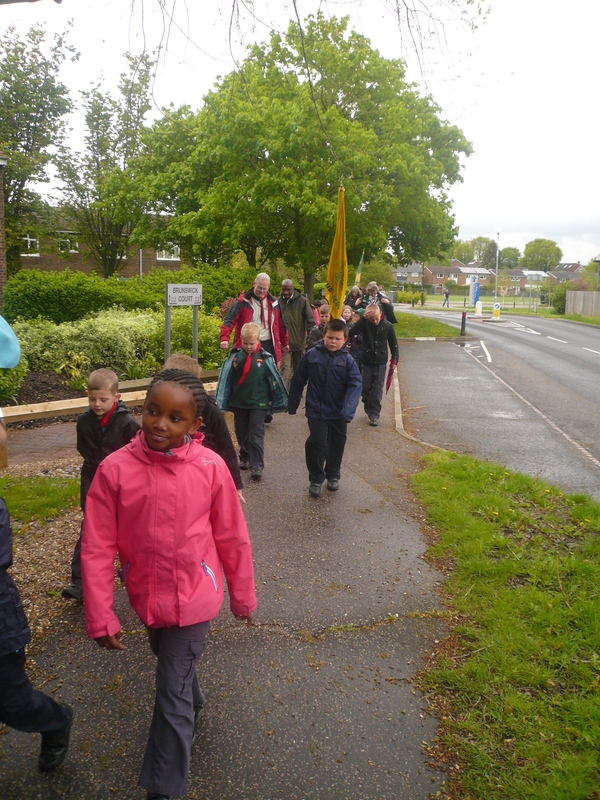 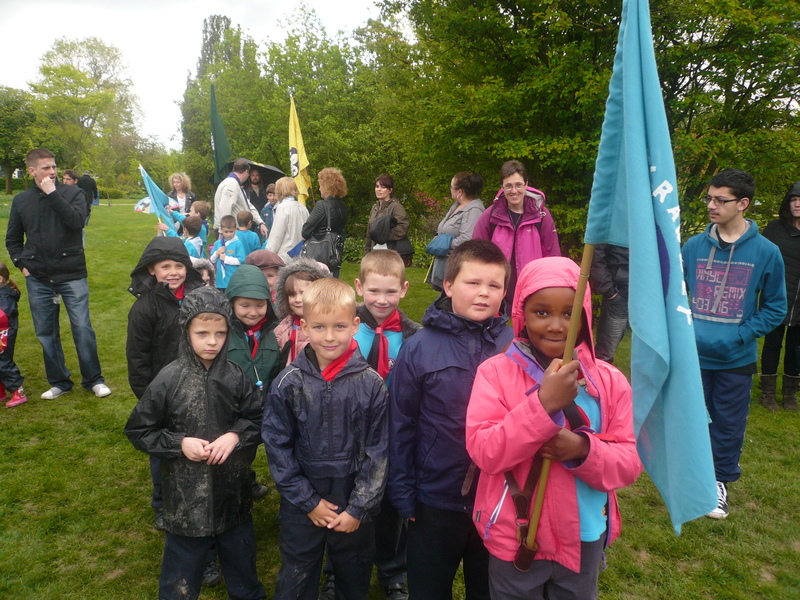 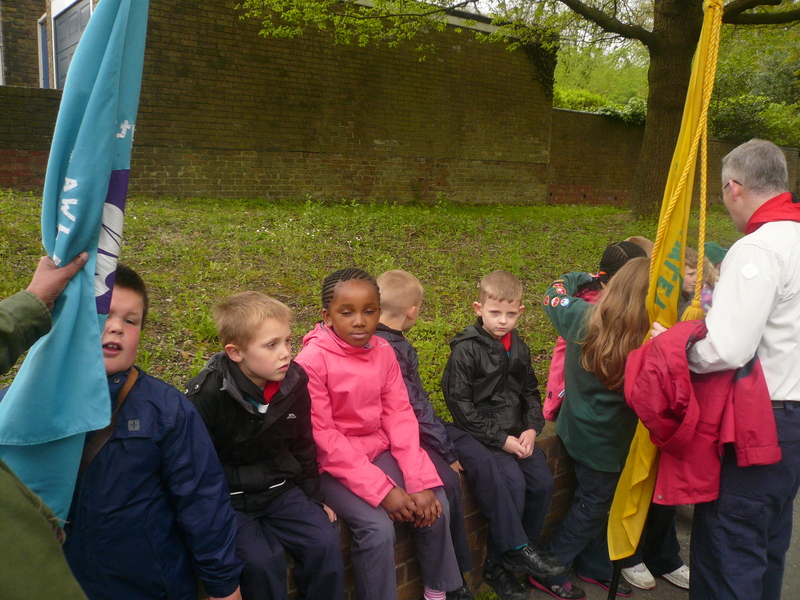 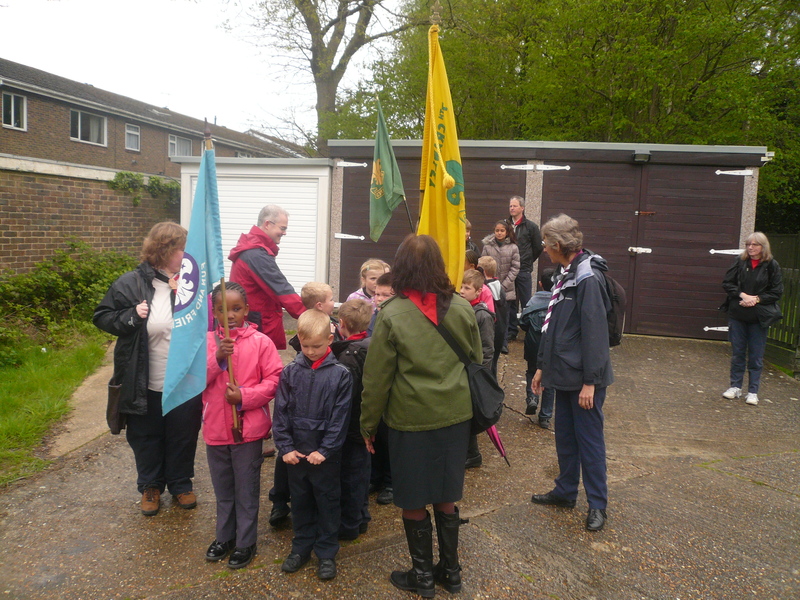 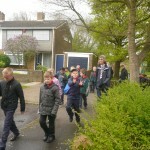 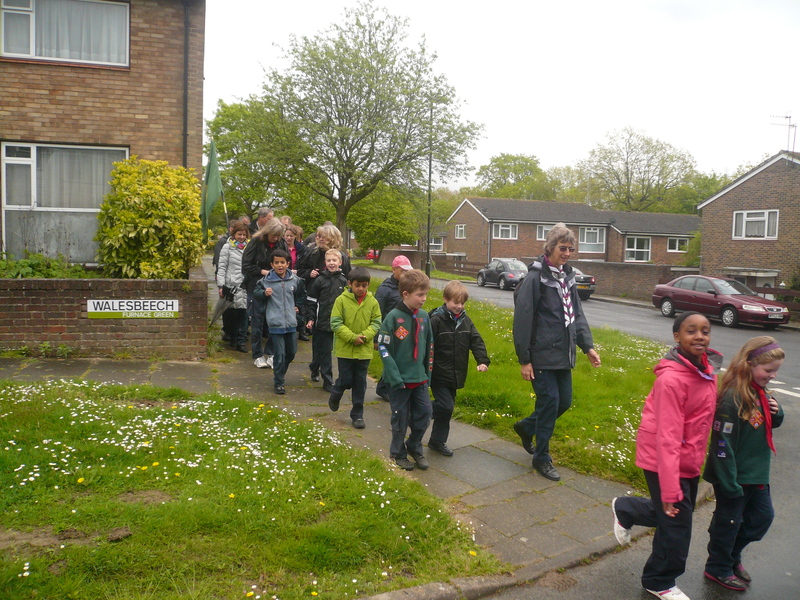 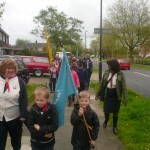 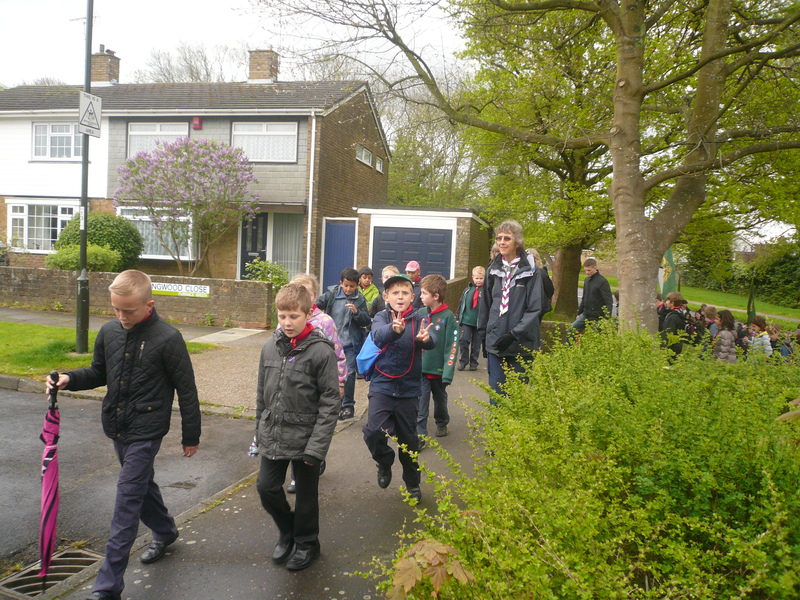 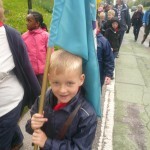 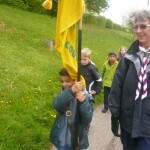 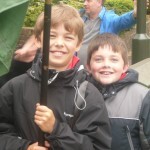 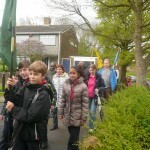 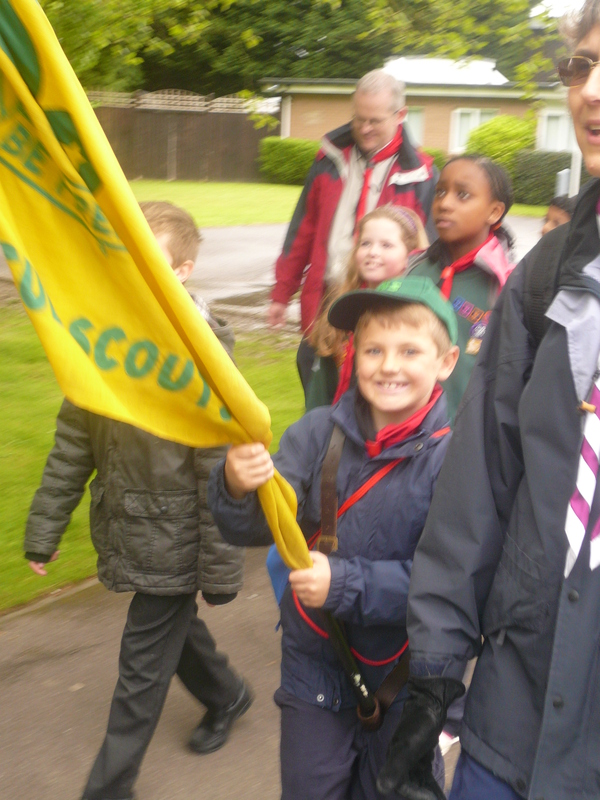 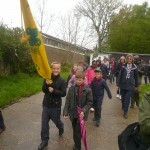 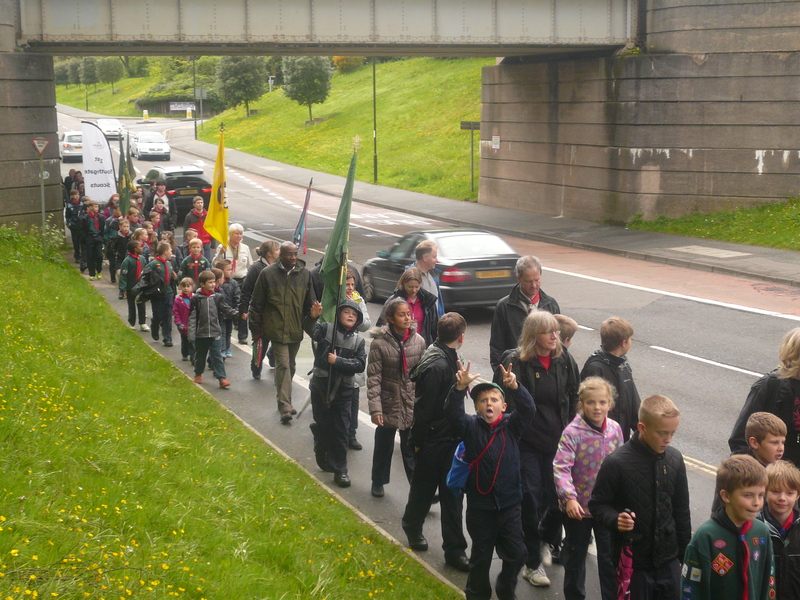 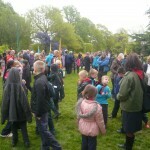 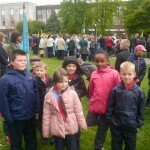 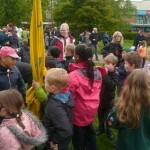 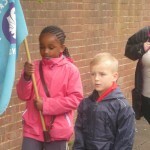 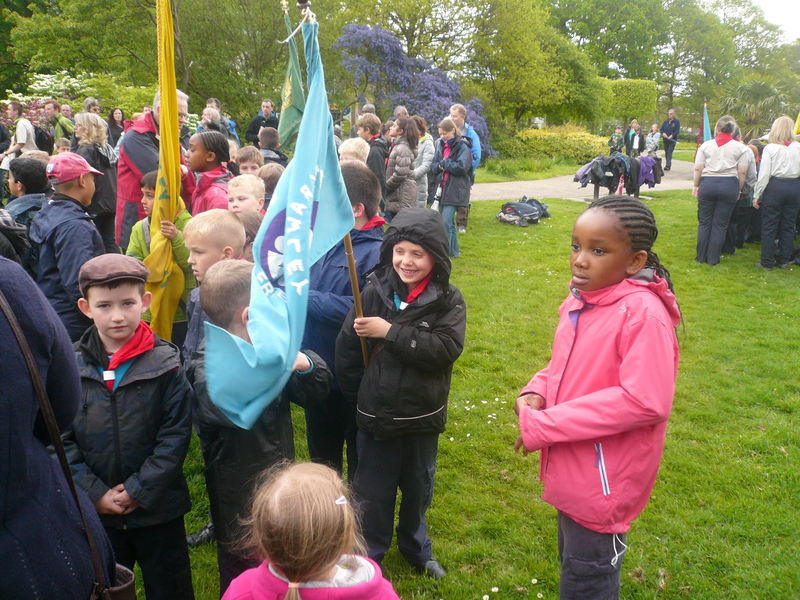 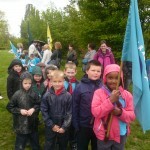 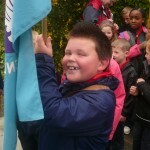 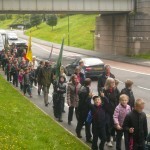 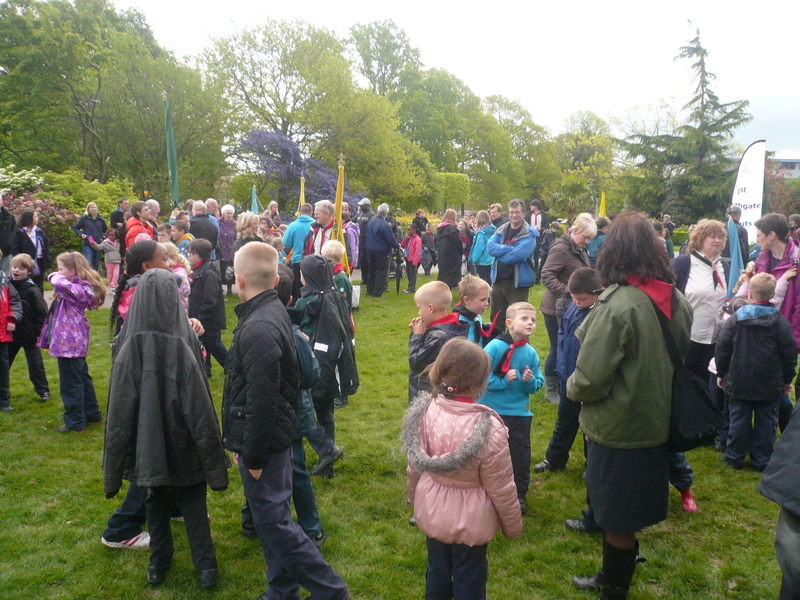 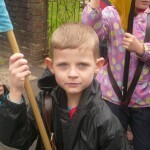 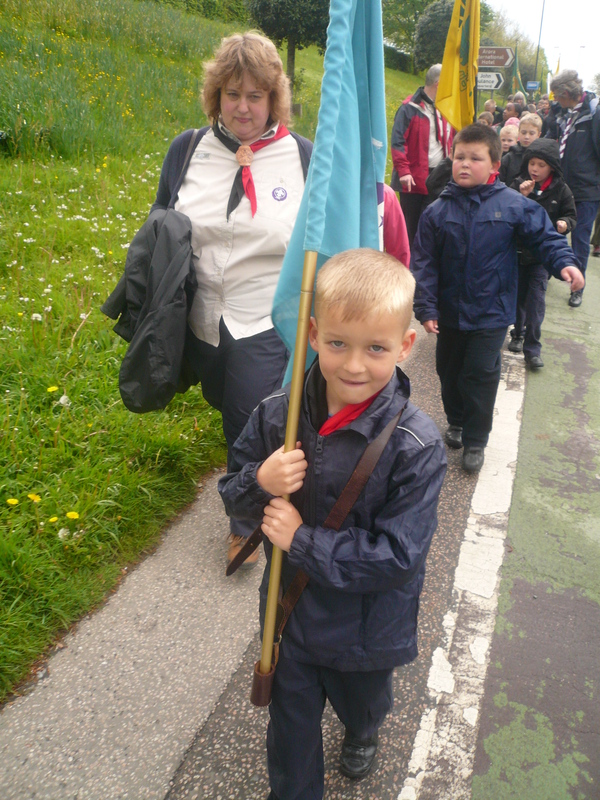 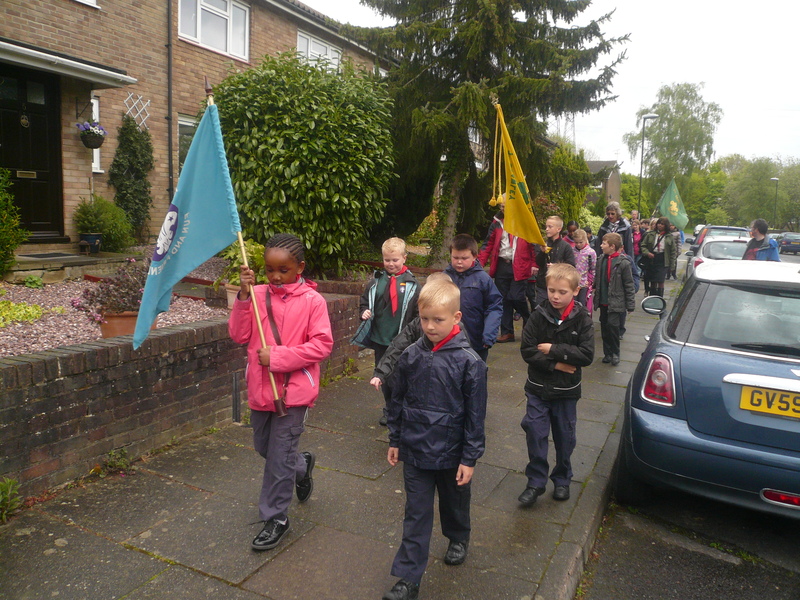 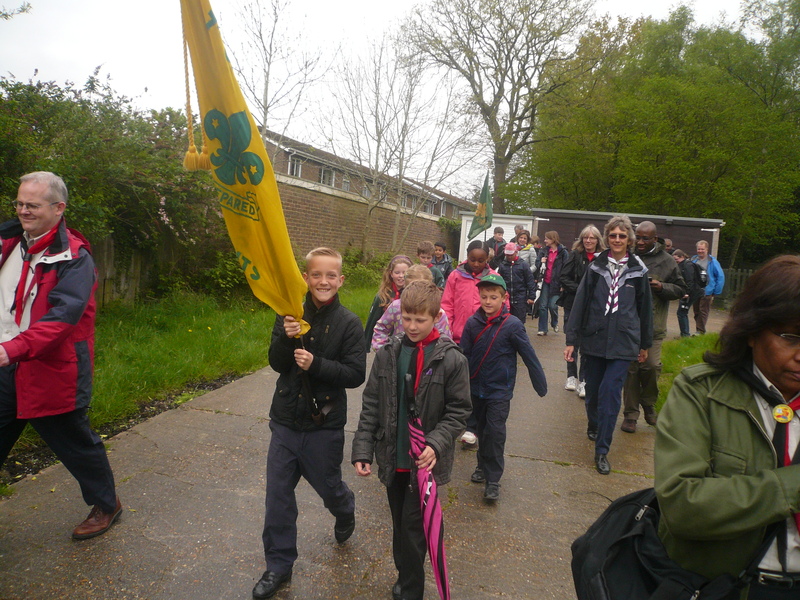 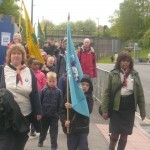 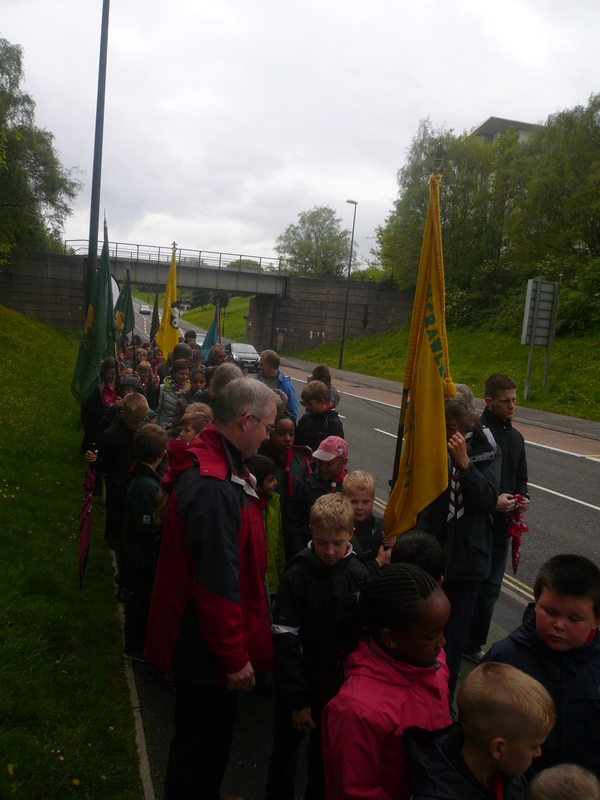 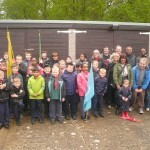 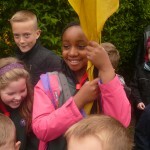 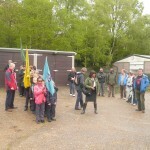 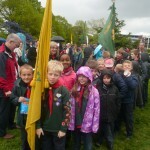 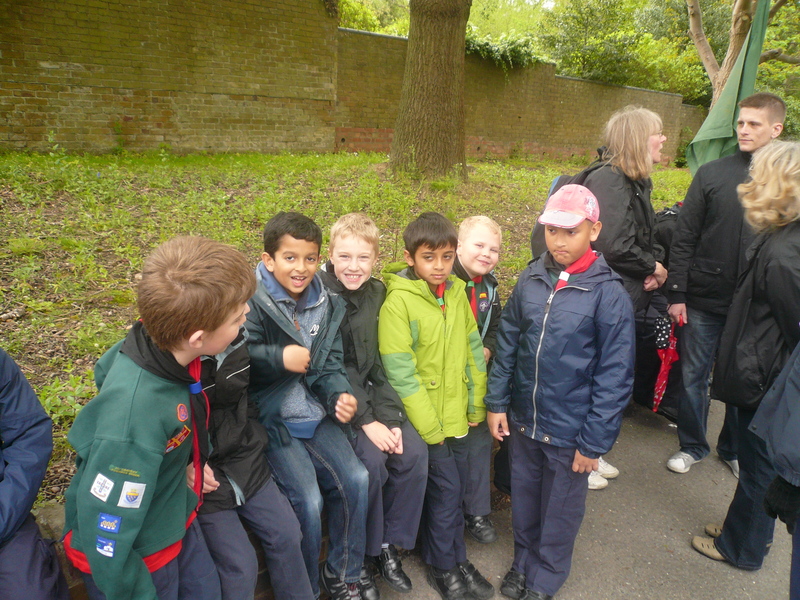 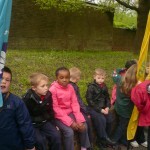 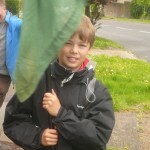 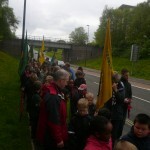 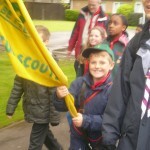 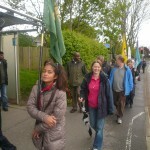 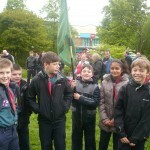 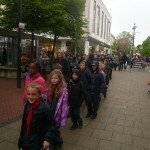 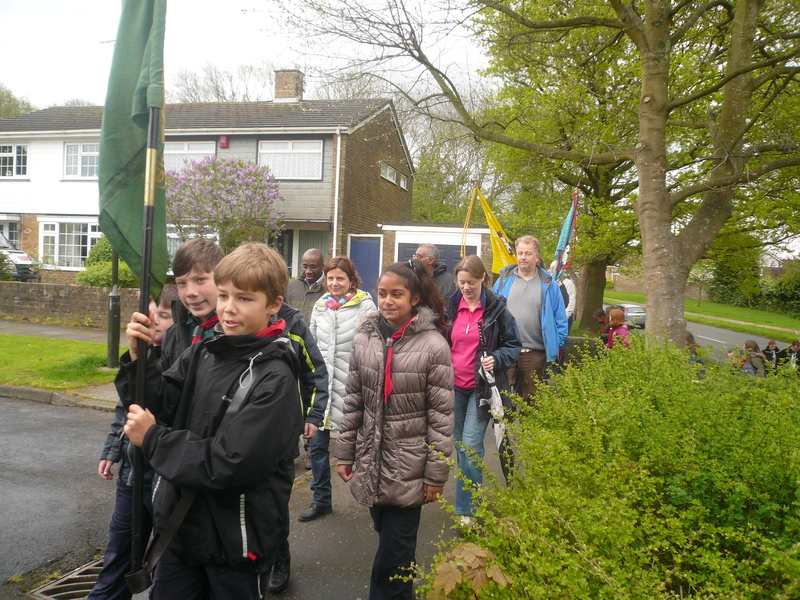 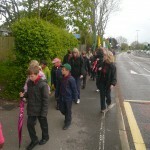 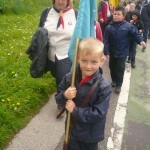 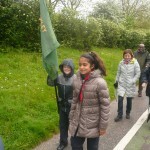 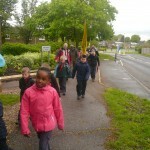 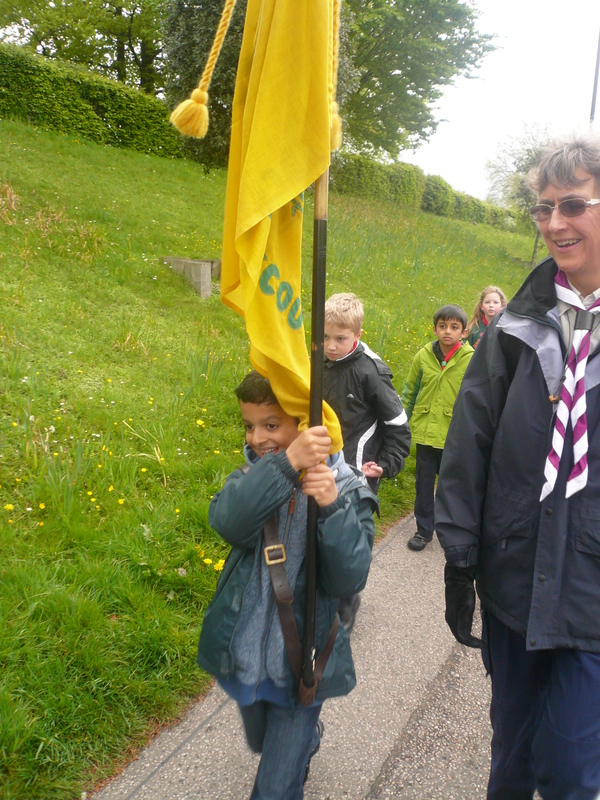 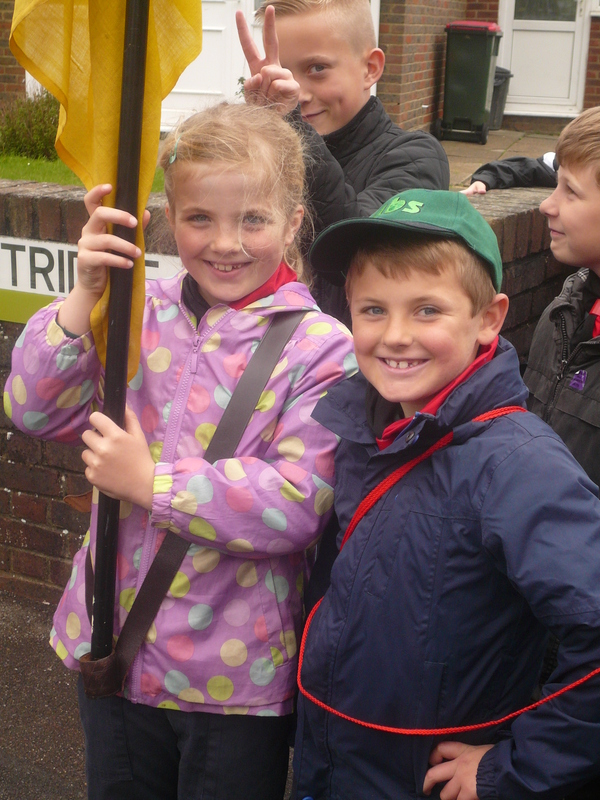 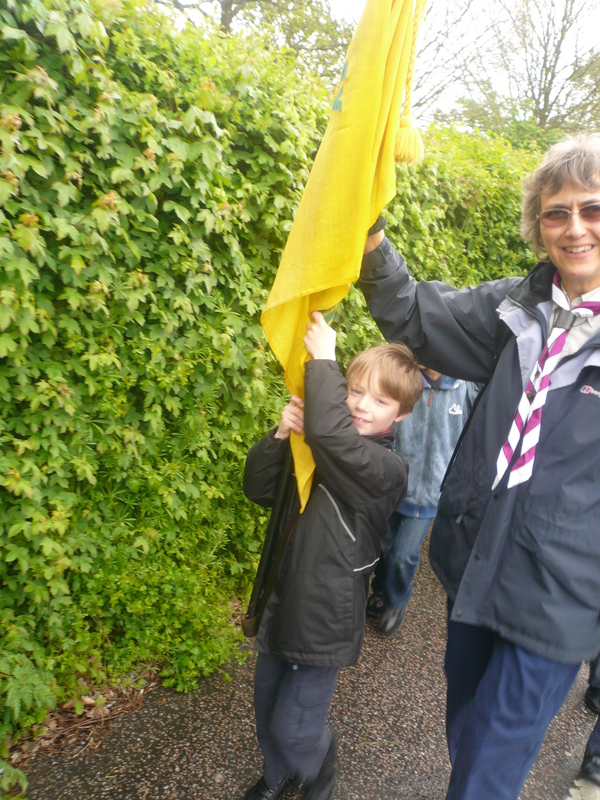 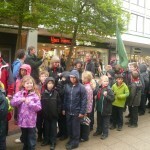 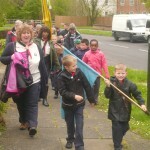 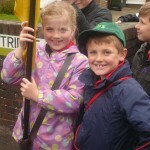 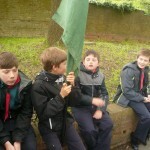 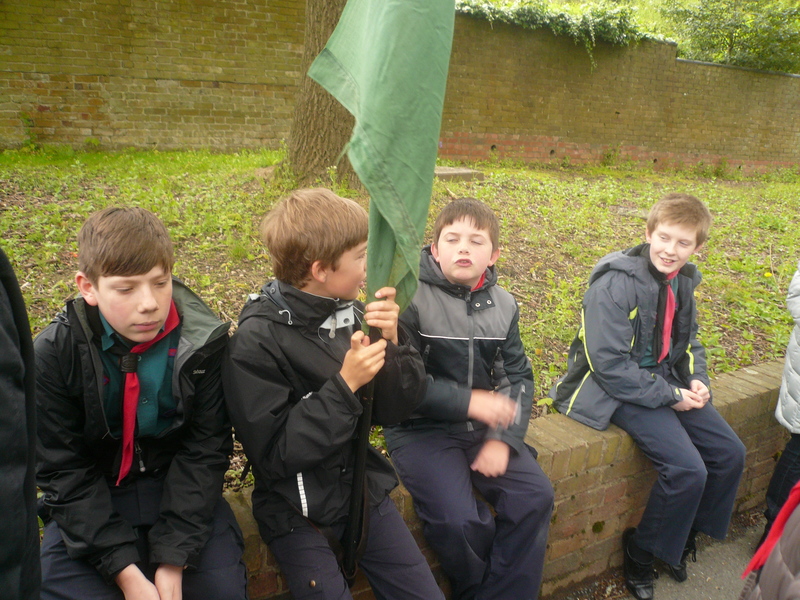 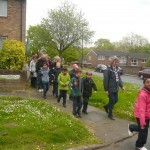 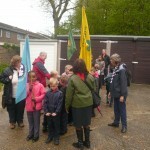 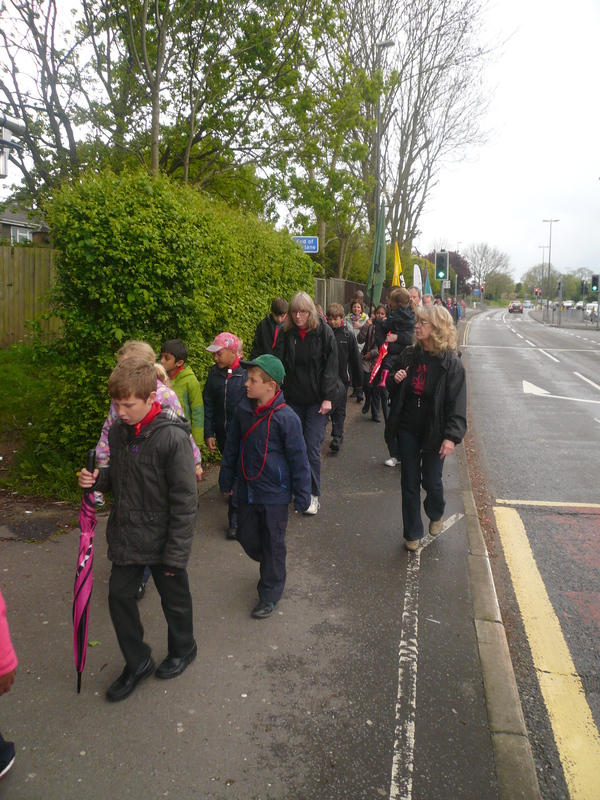 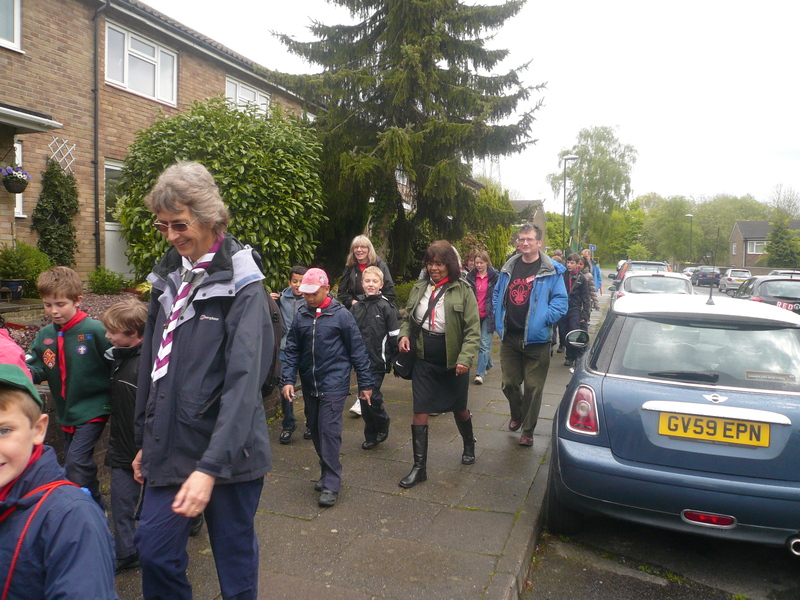 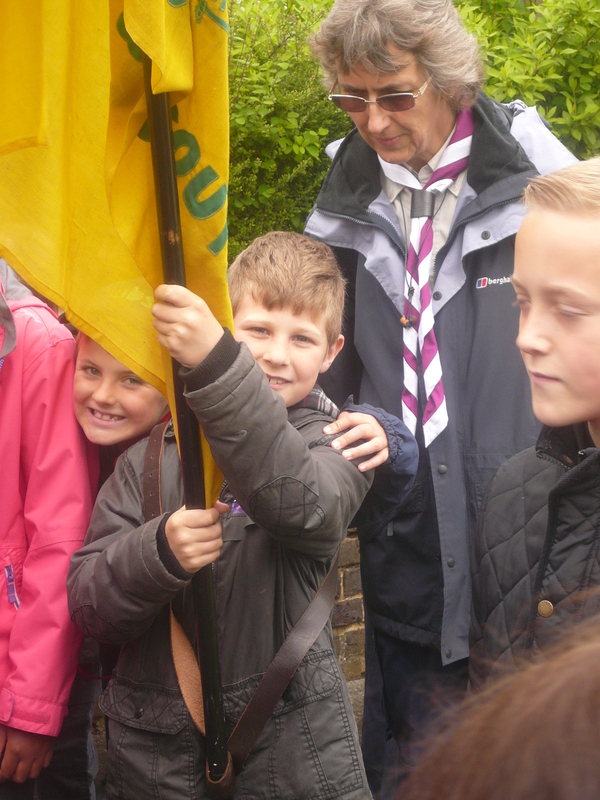 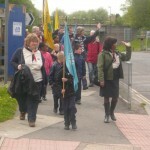 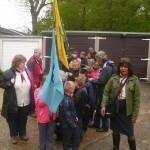 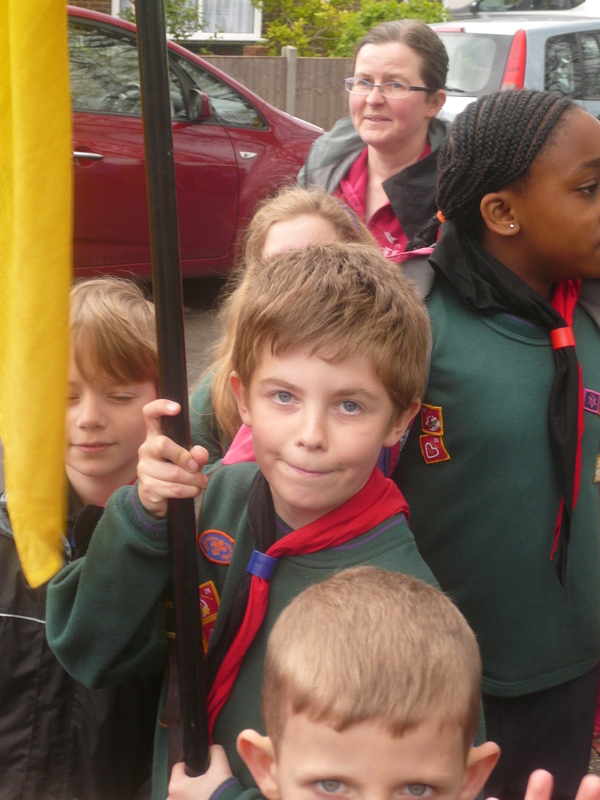 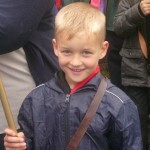 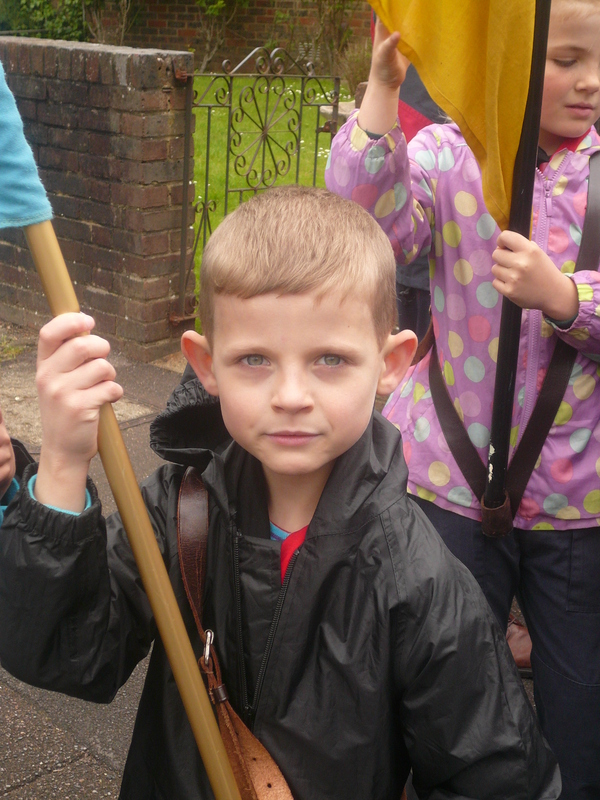 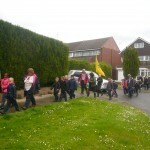 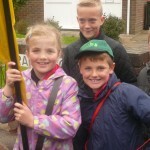 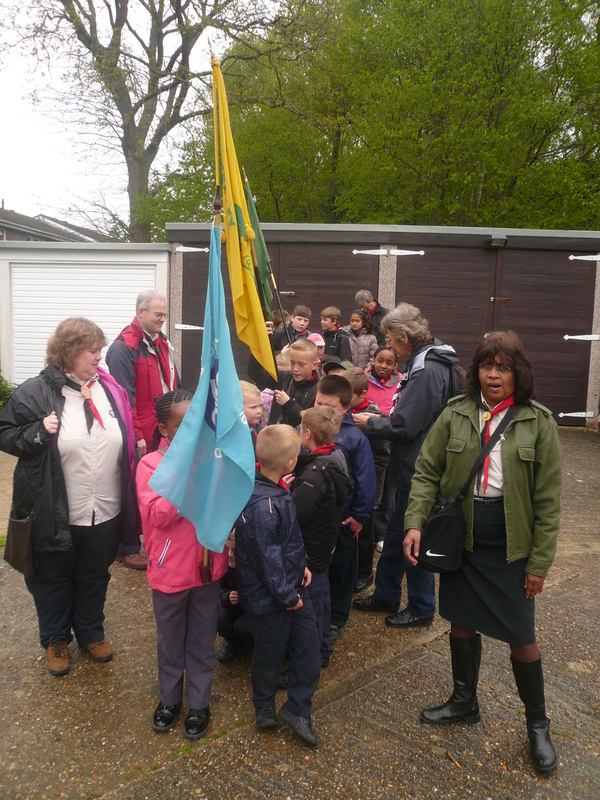 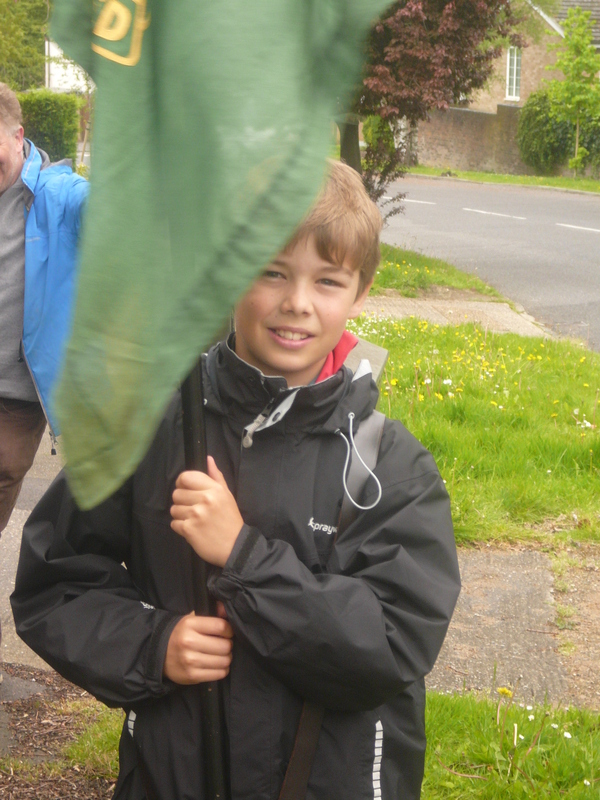 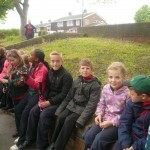 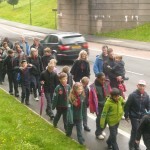 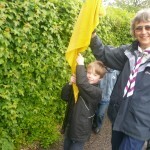 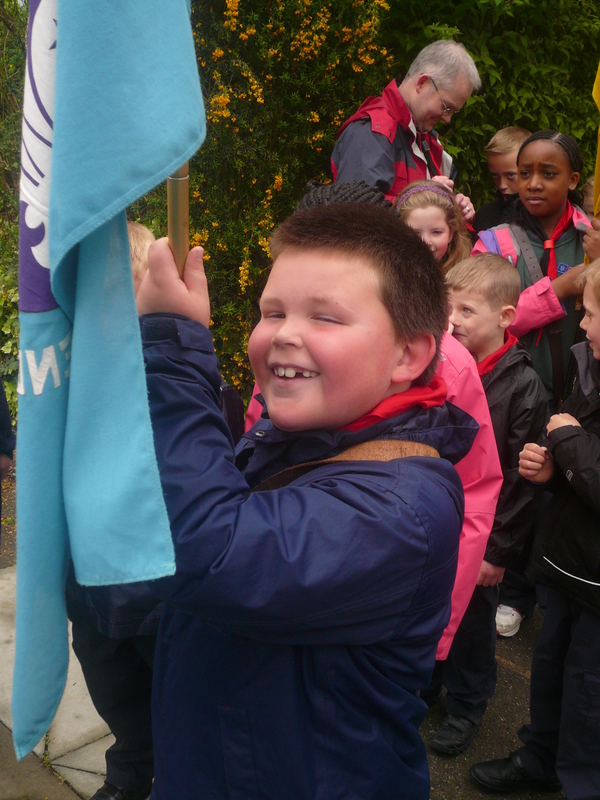 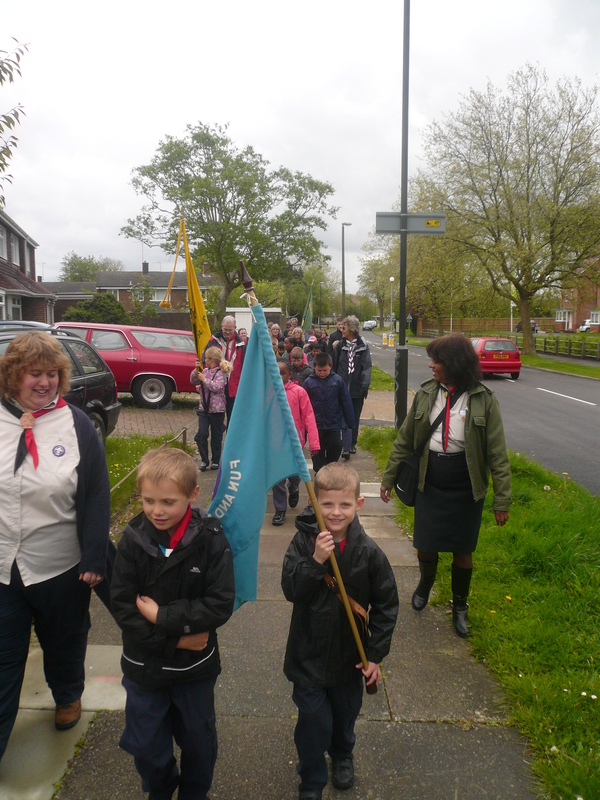 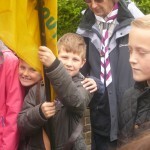 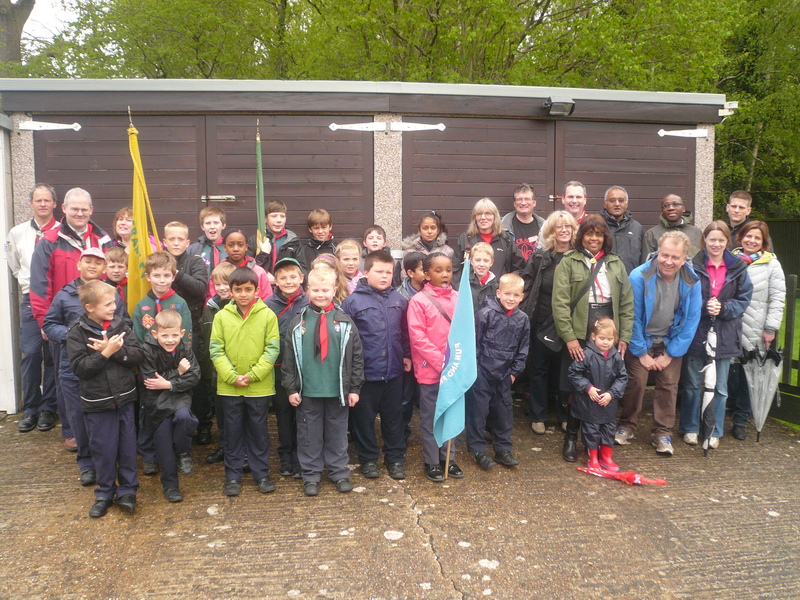 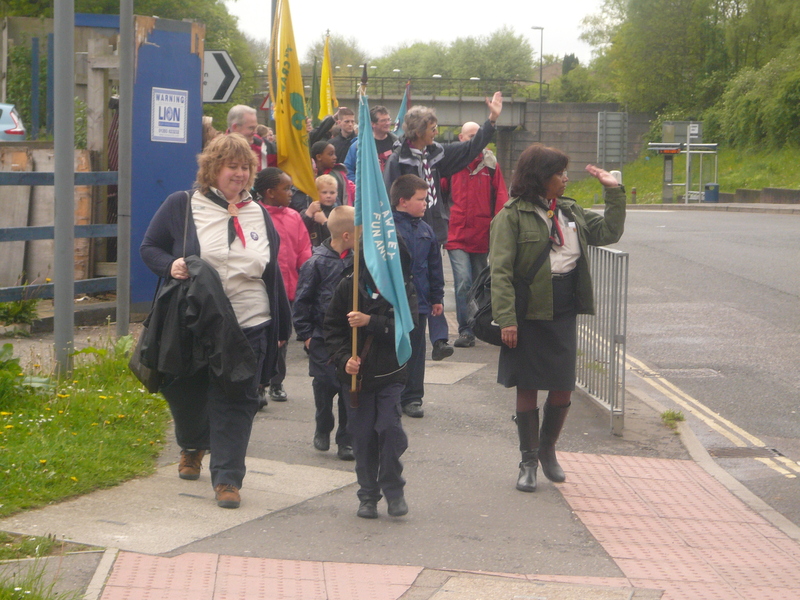 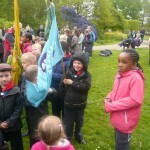 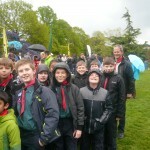 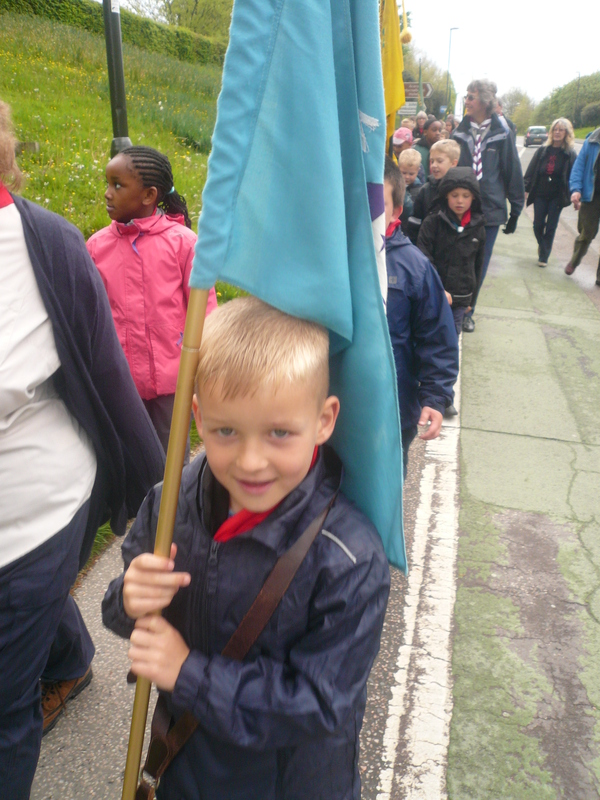 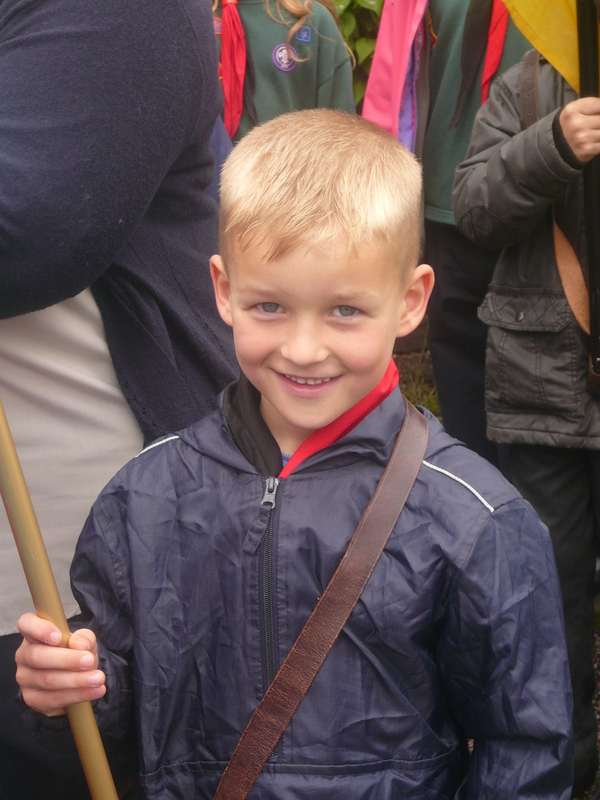 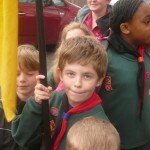 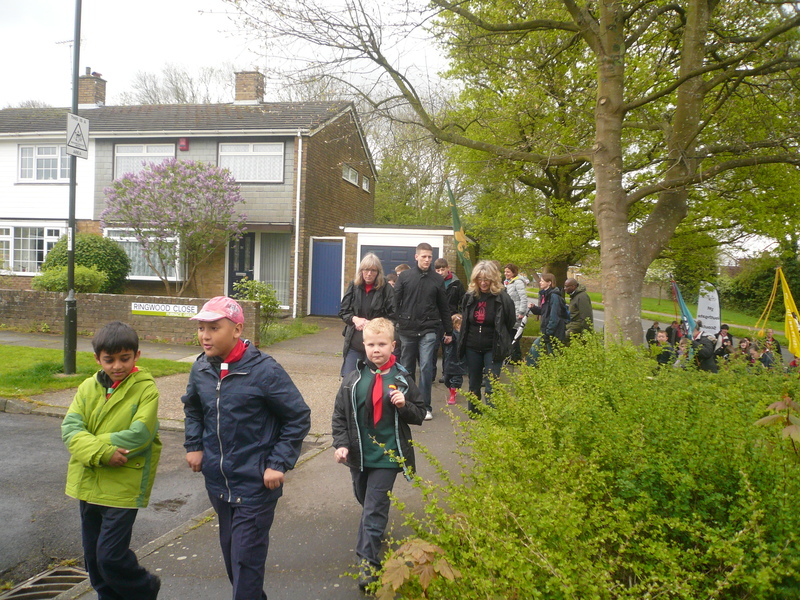 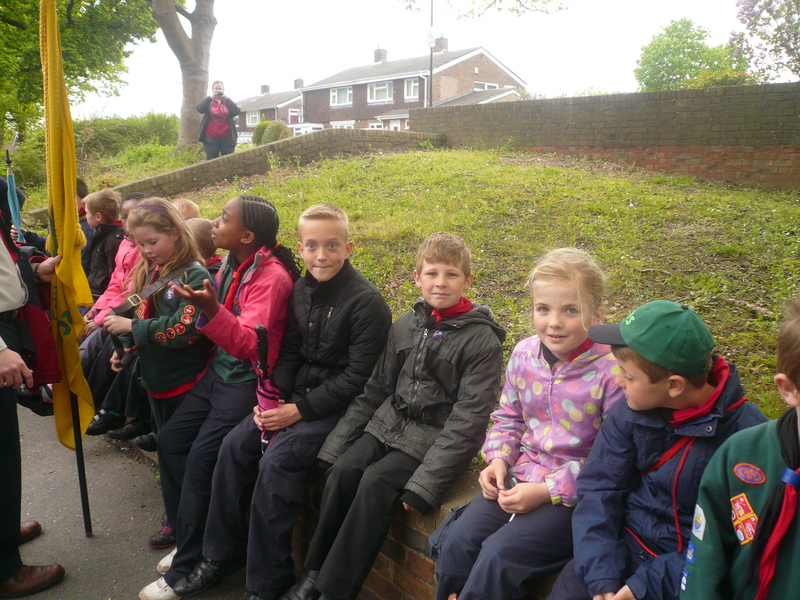 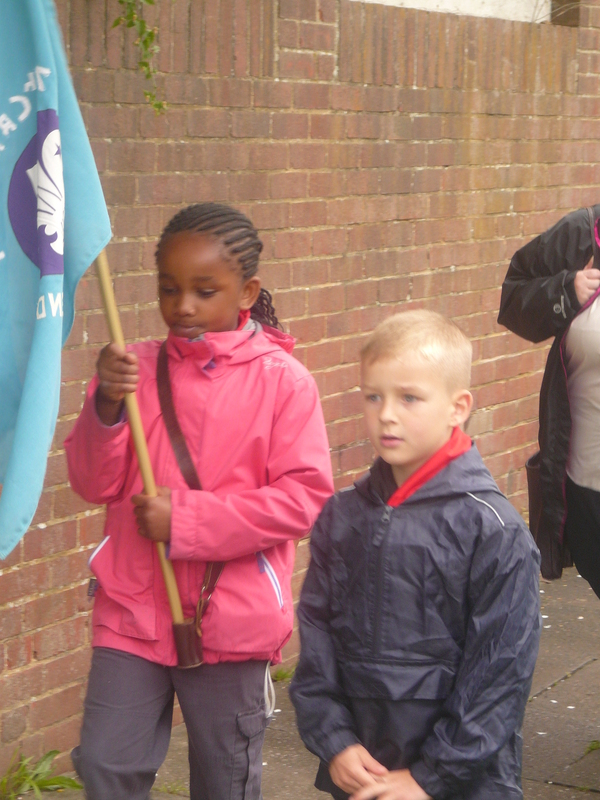 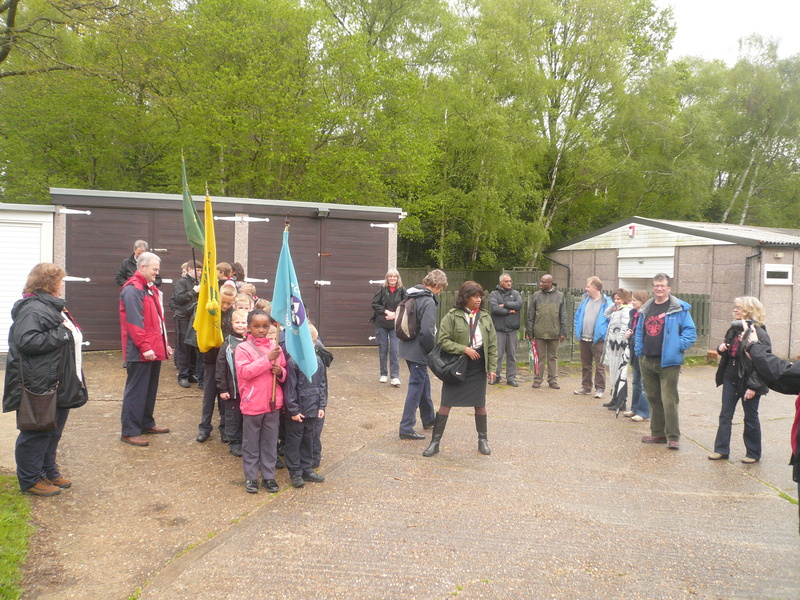 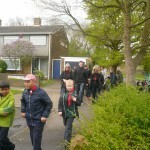 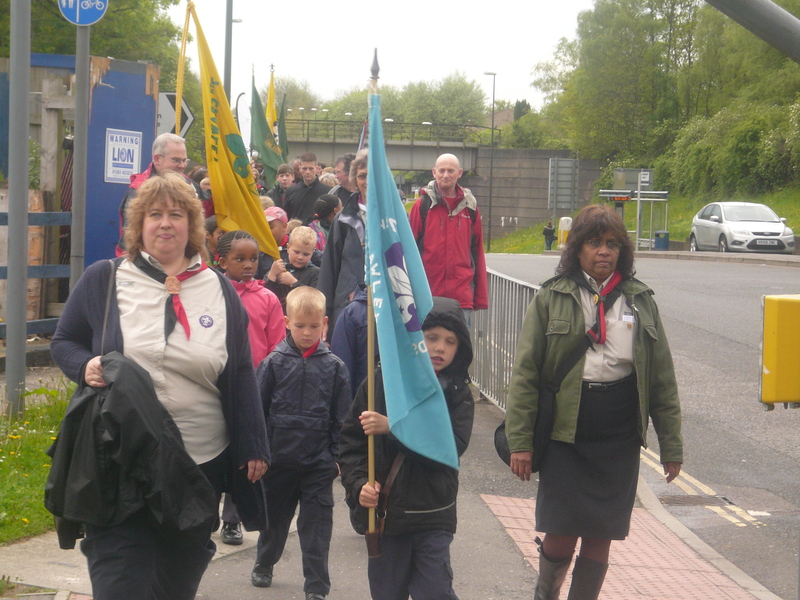 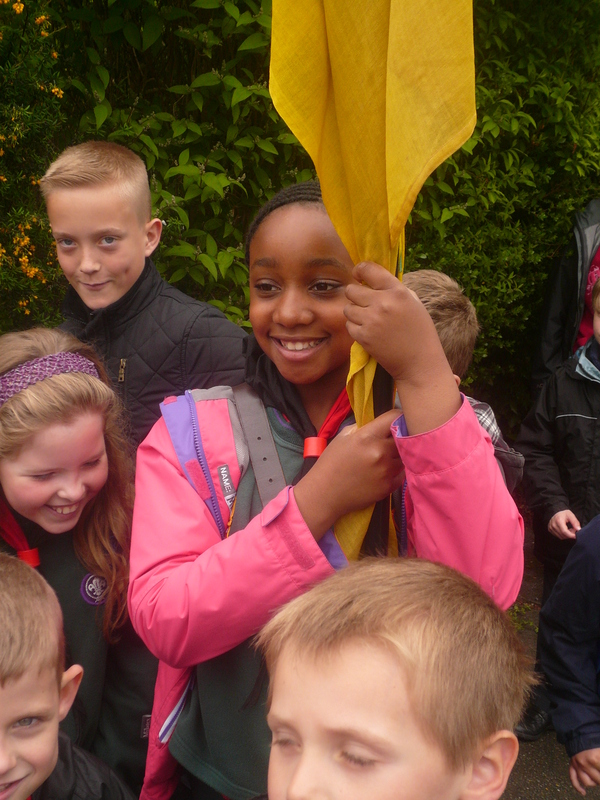 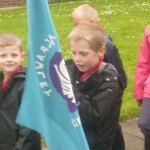 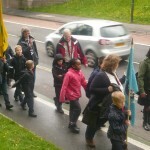 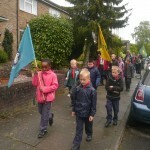 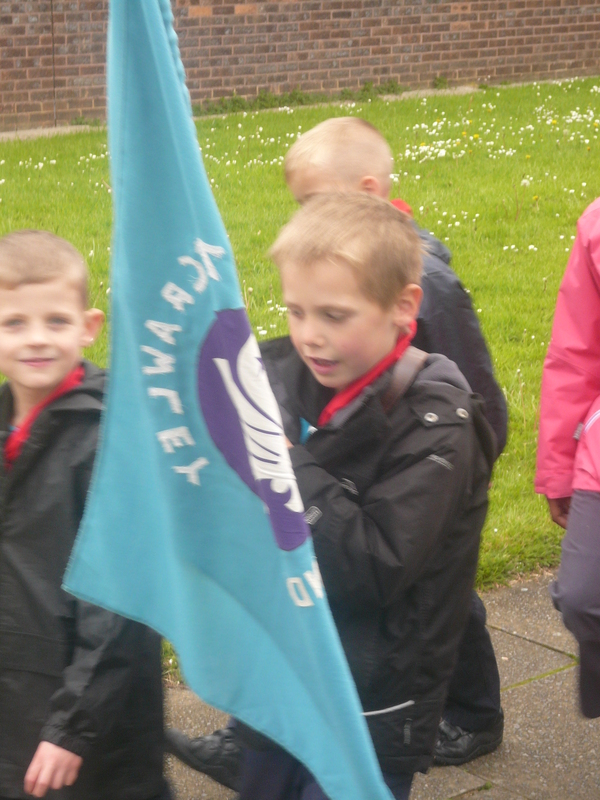 We had a good representation of Beavers, Cubs, Scouts, Leaders and parents. 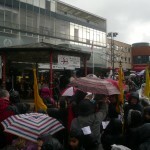 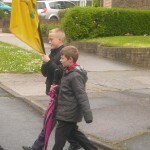 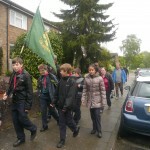 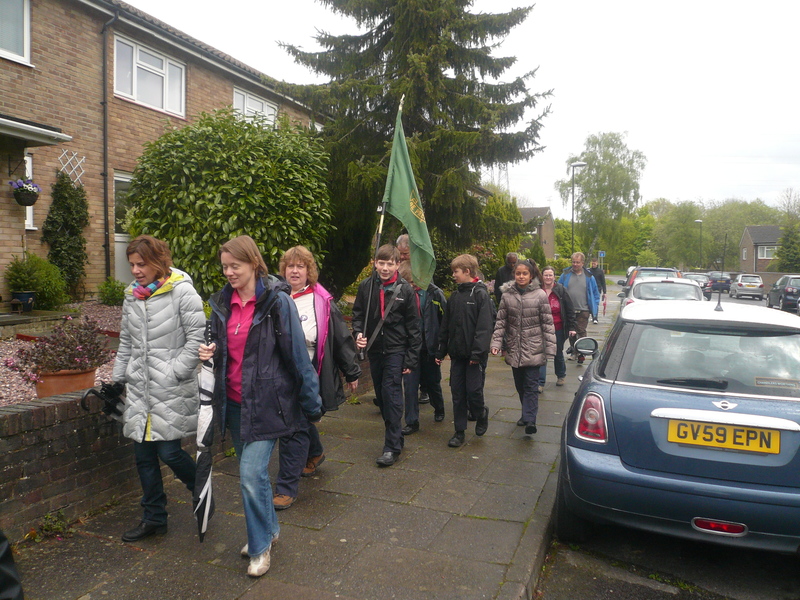 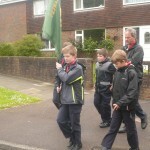 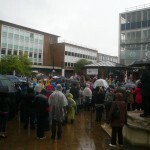 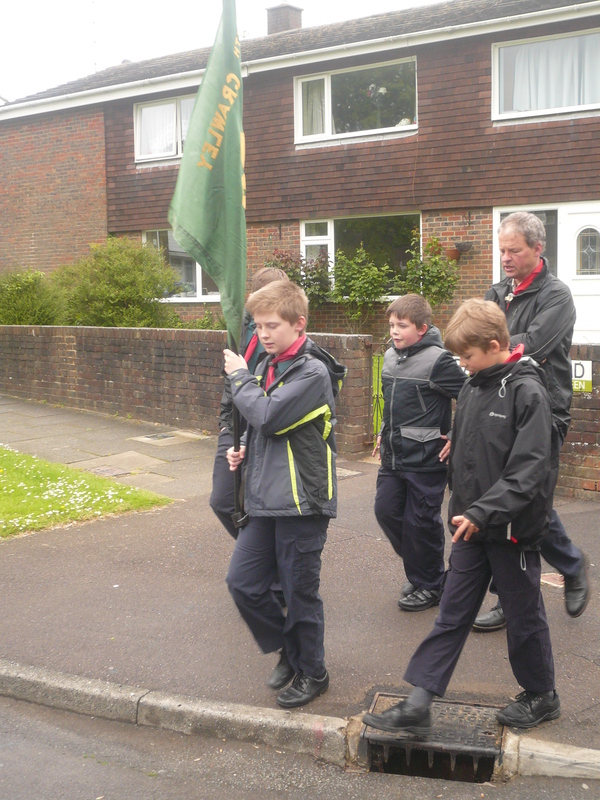 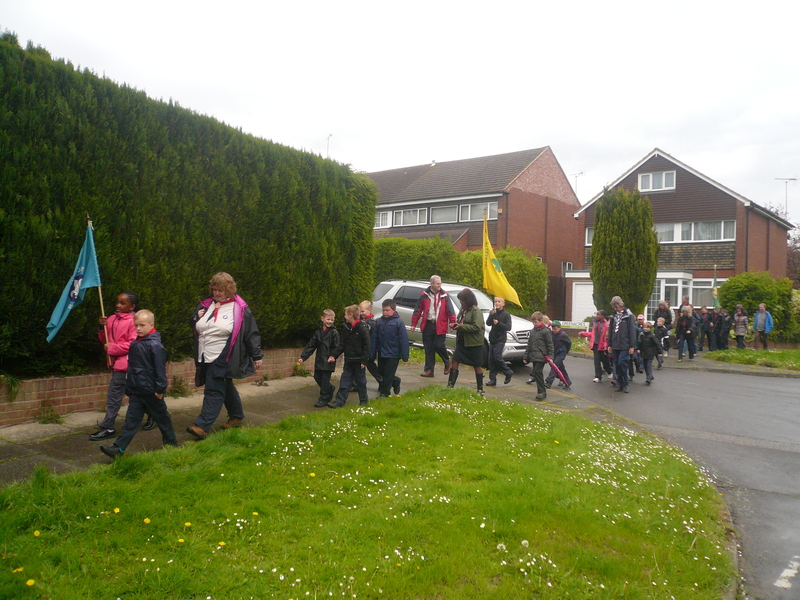 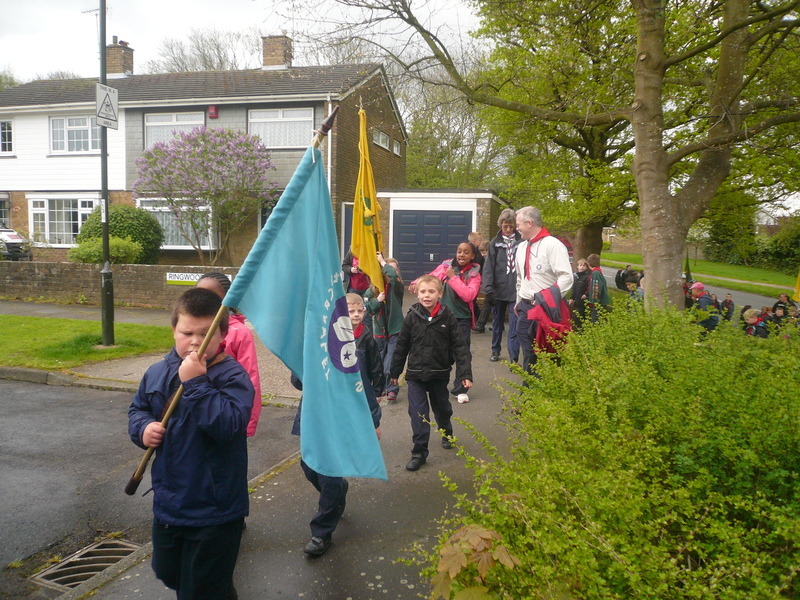 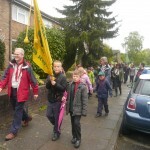 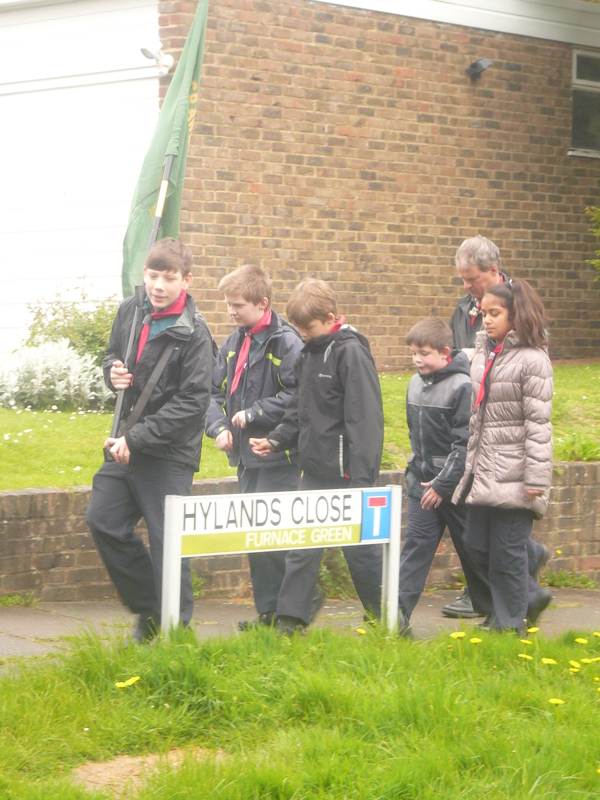 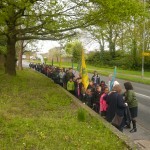 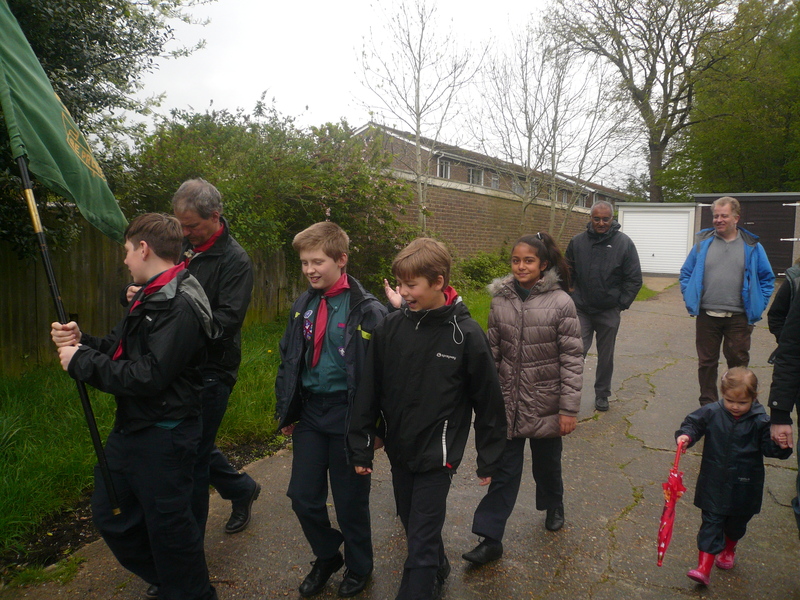 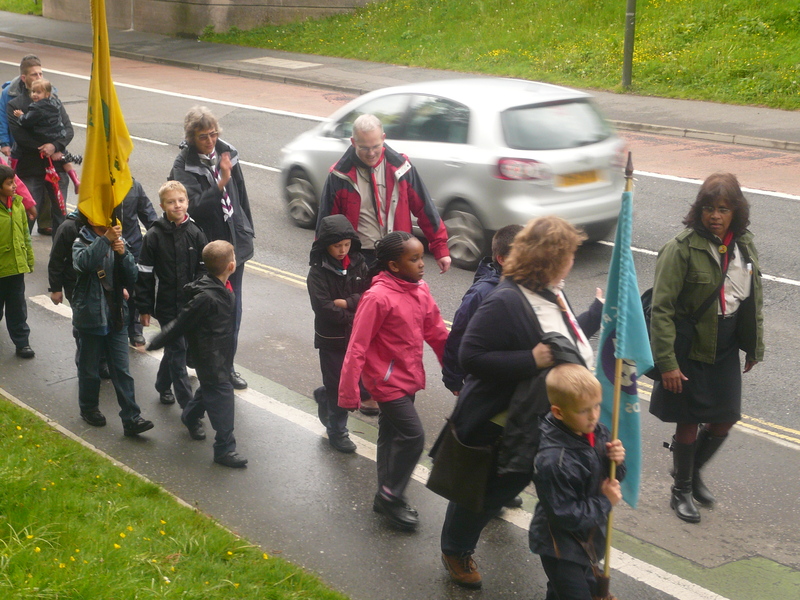 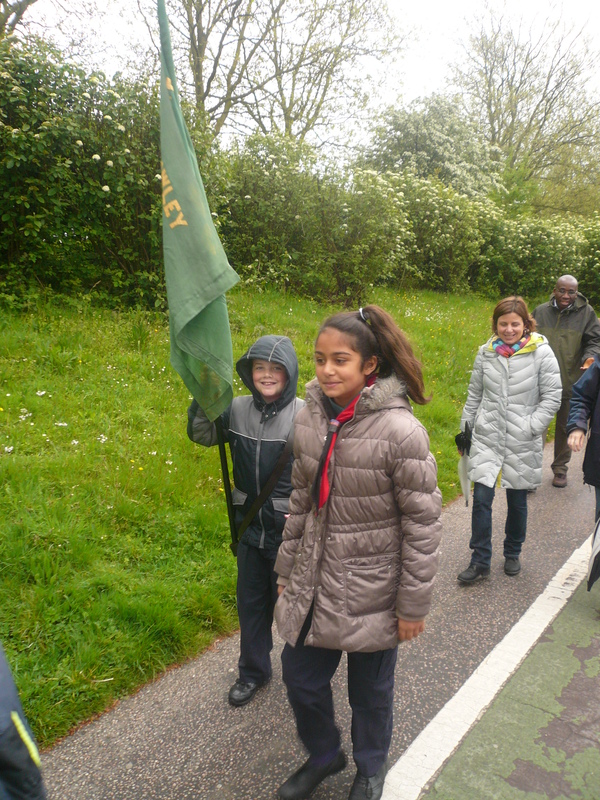 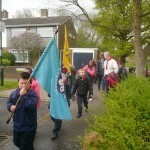 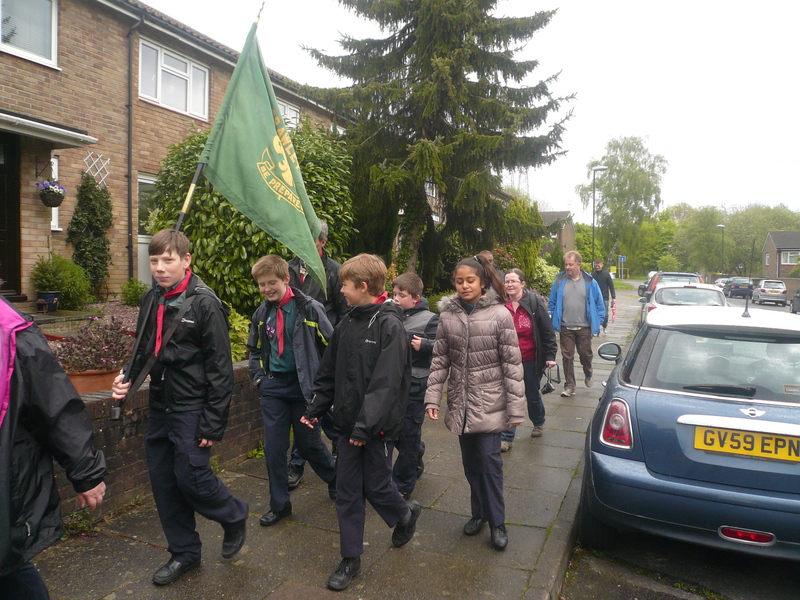 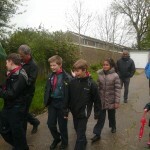 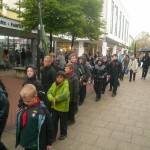 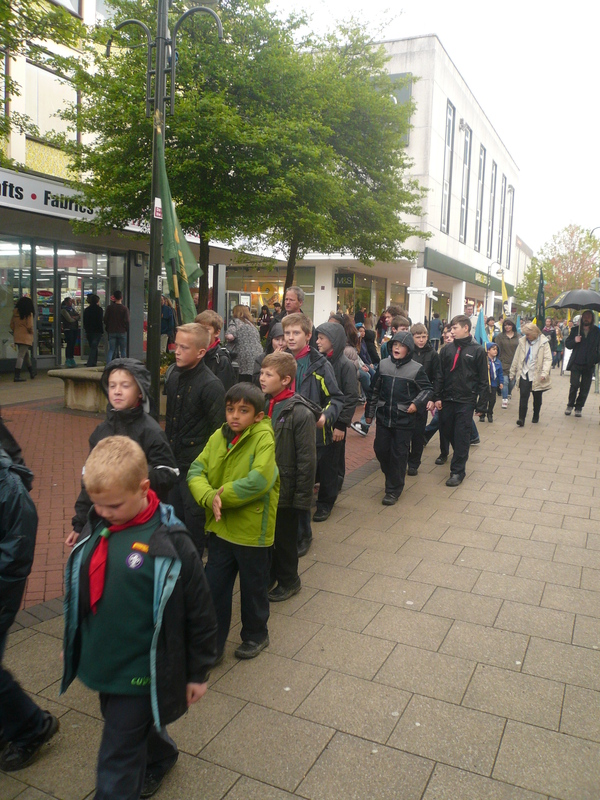 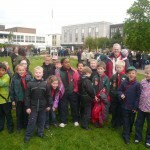 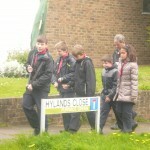 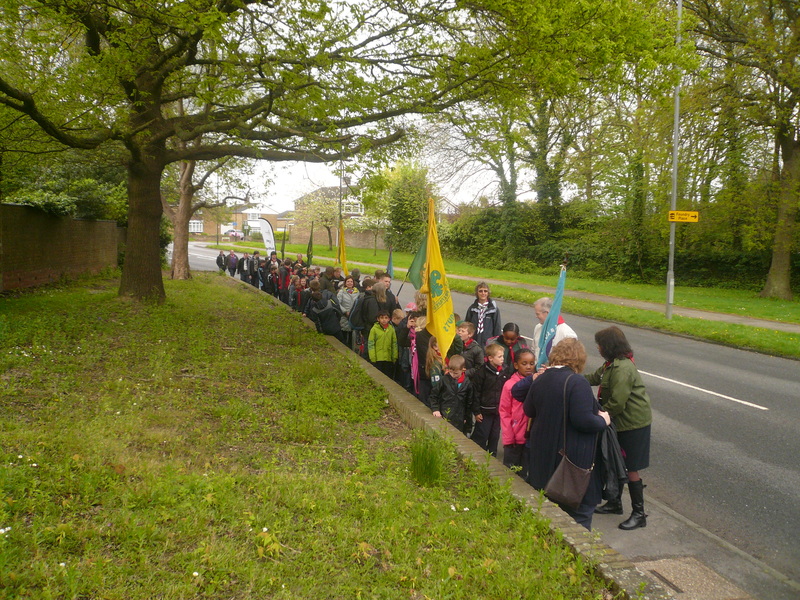 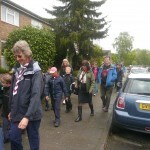 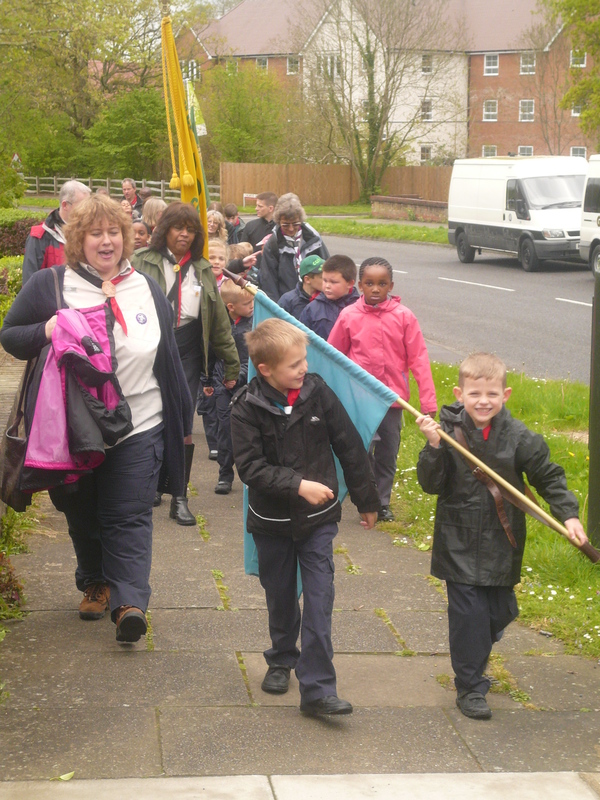 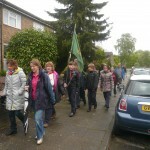 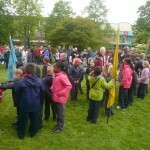 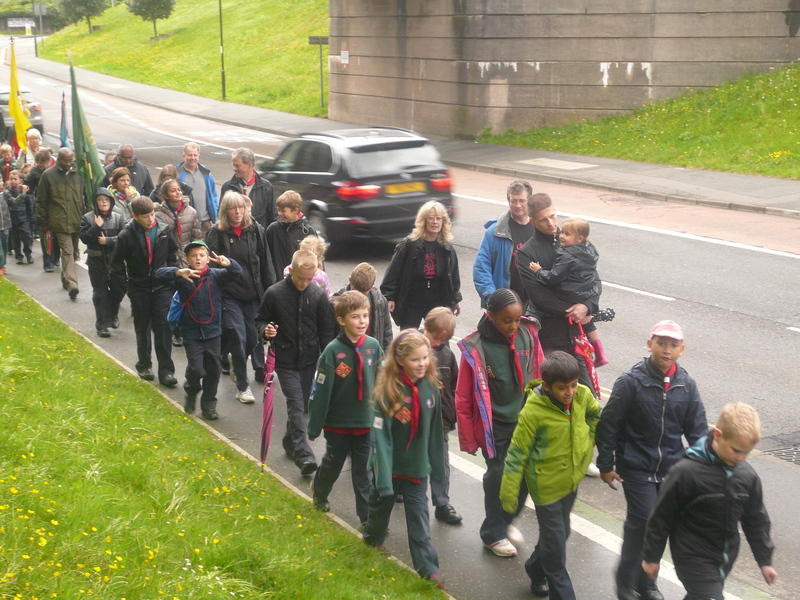 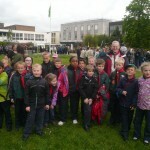 A number of us paraded from our HQ to the Memorial Gardens in the Town Centre before joining with other members of our Group and those of the other ten Groups within the Crawley Scout district.